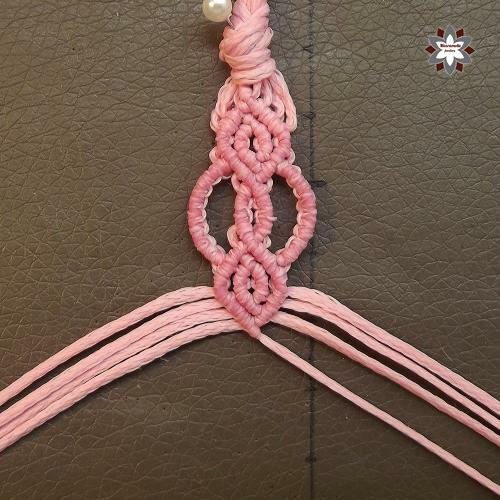 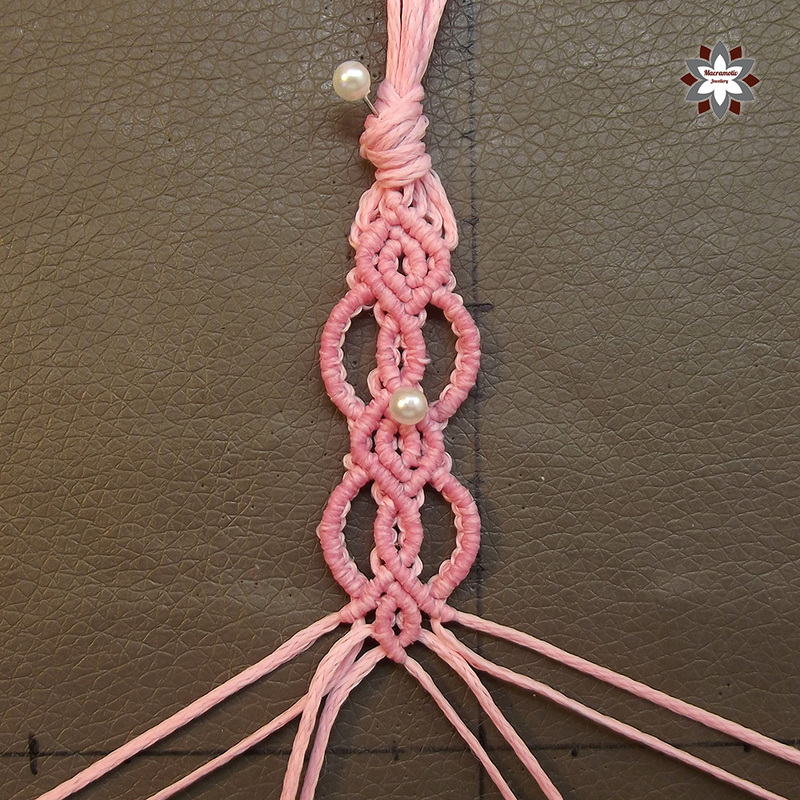 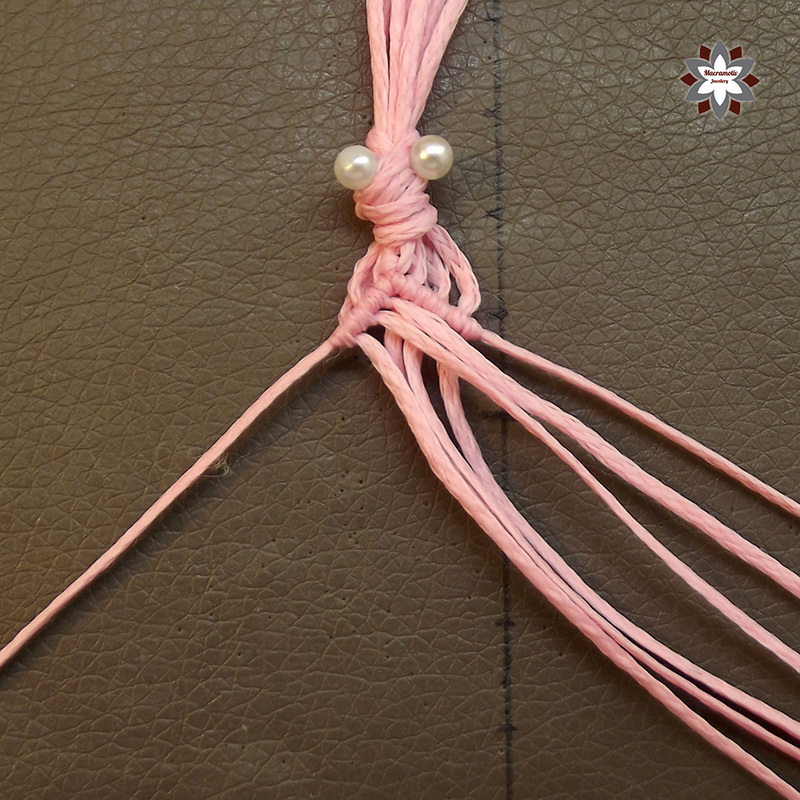 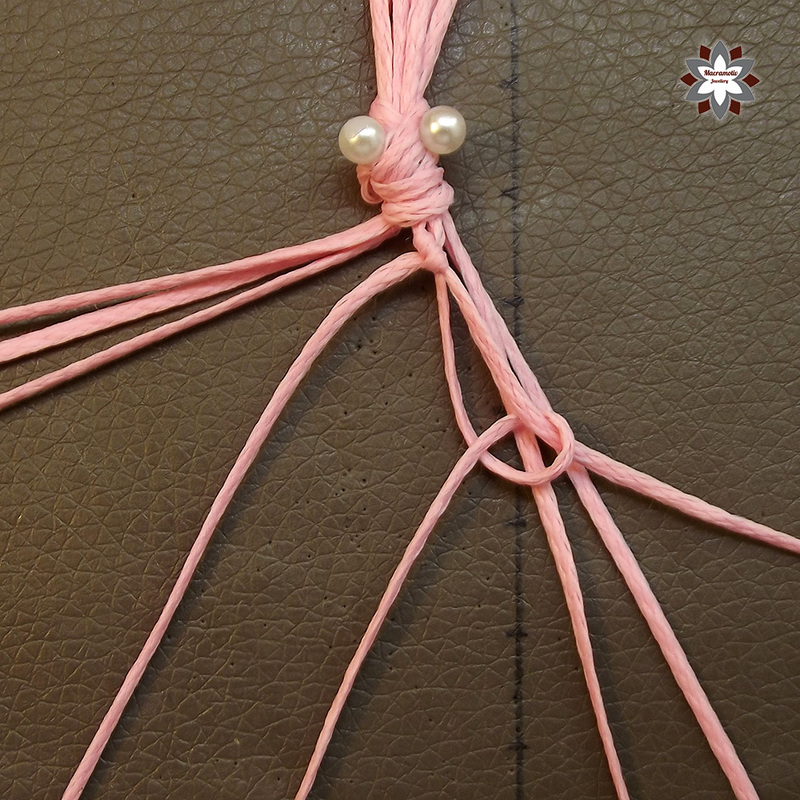 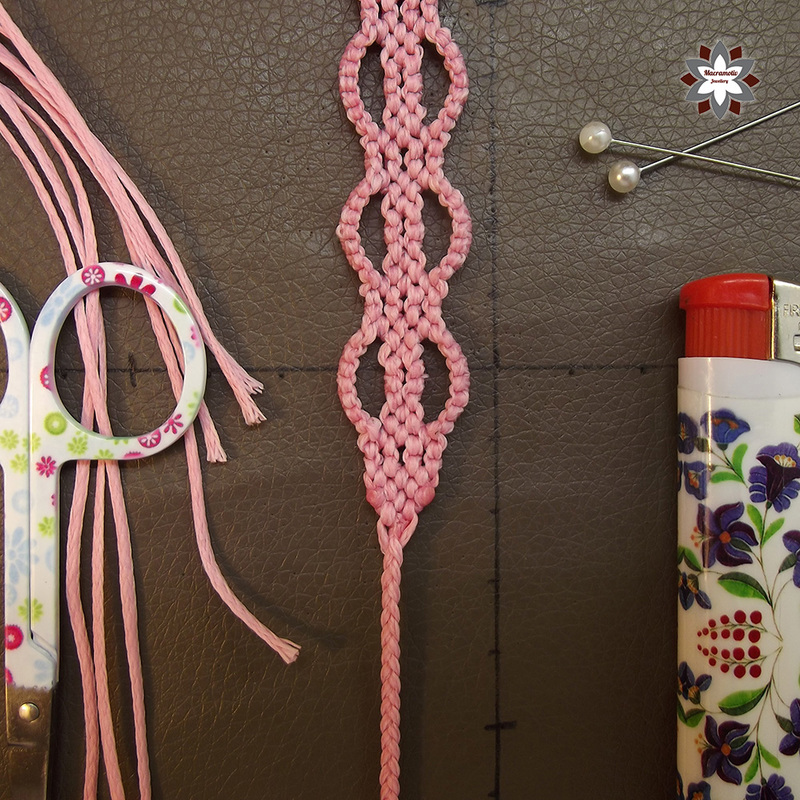 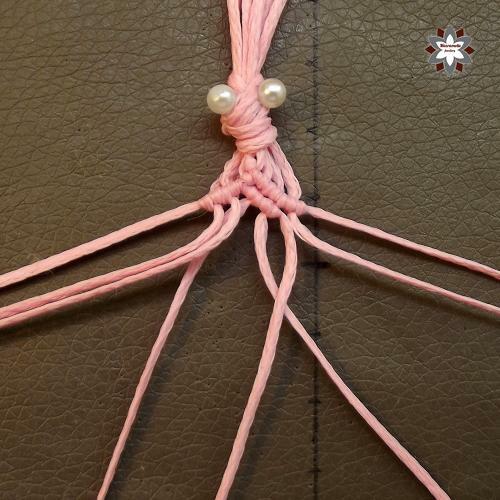 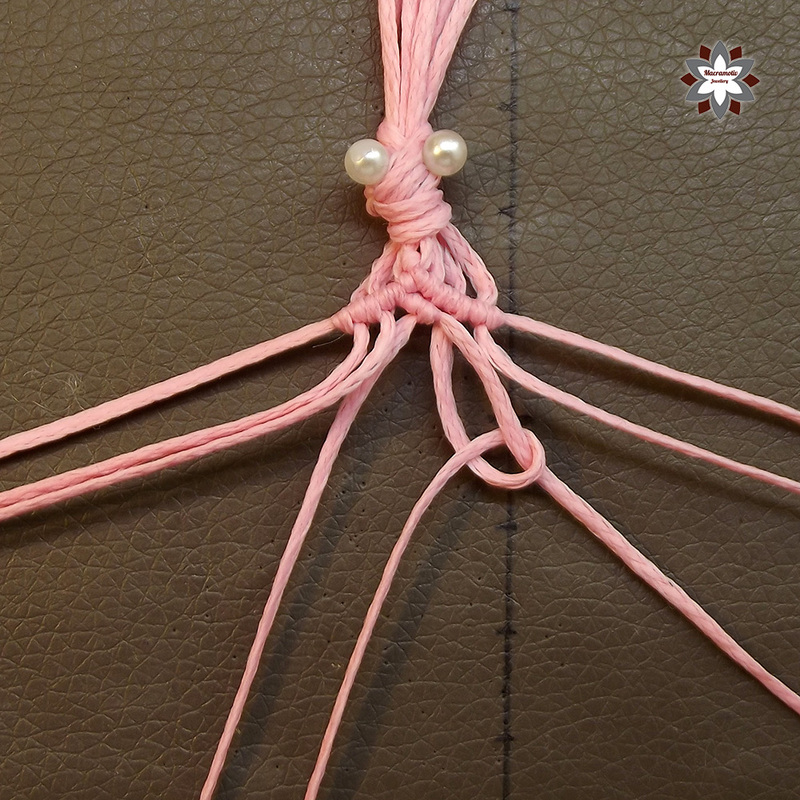 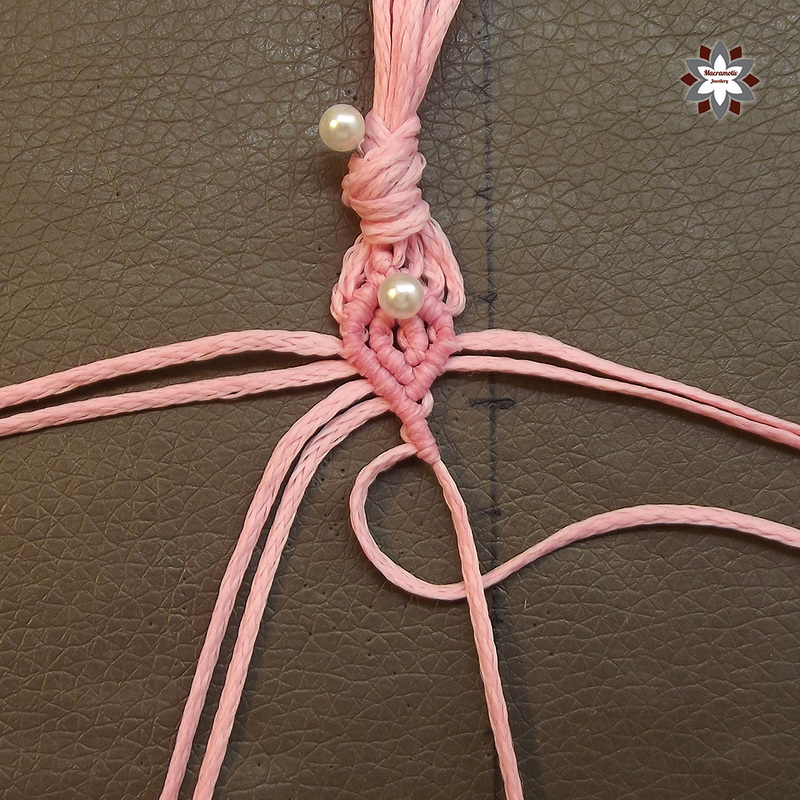 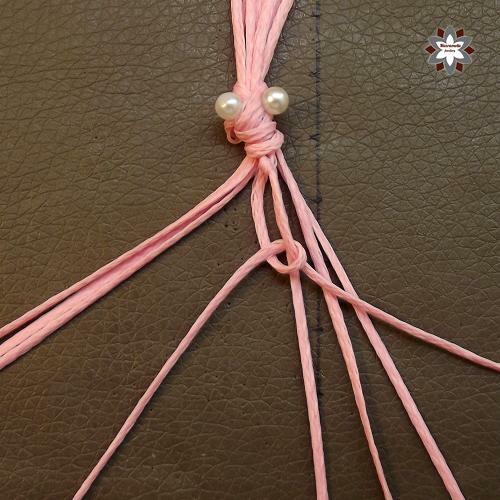 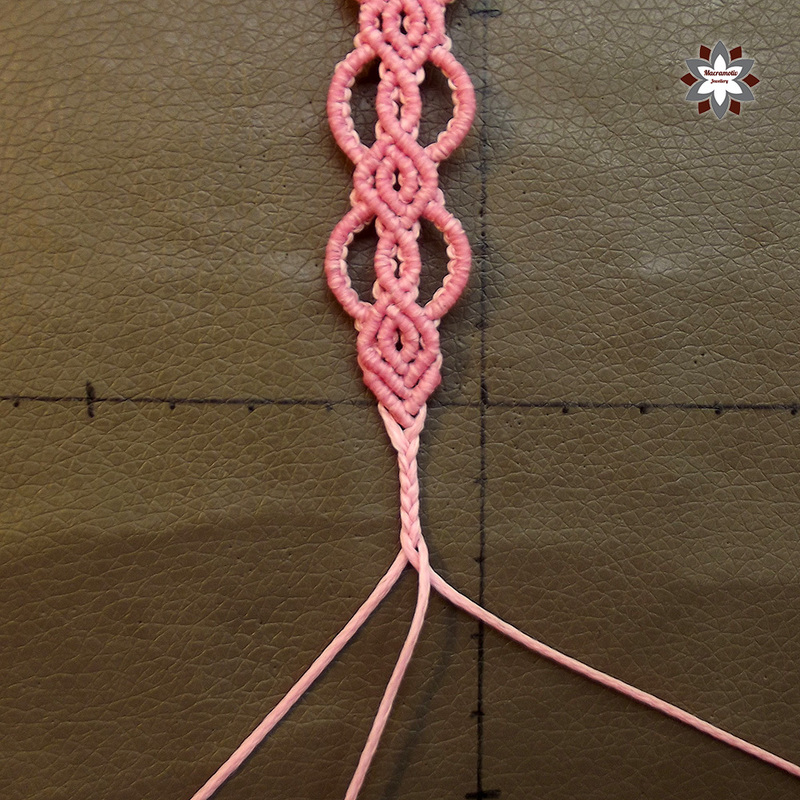 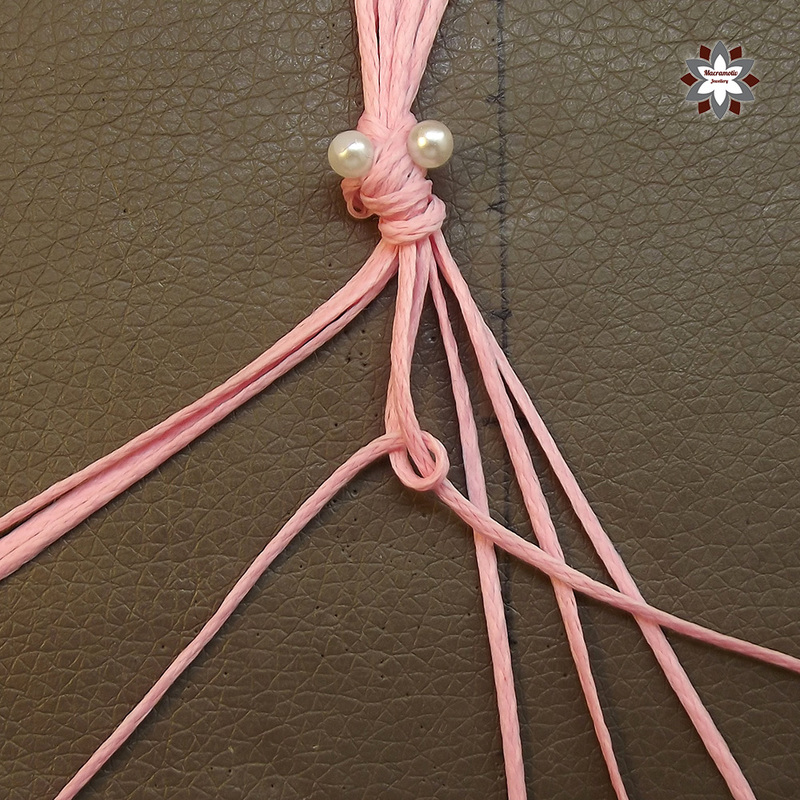 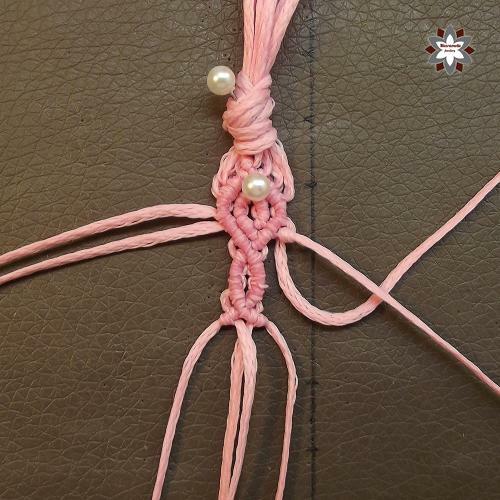 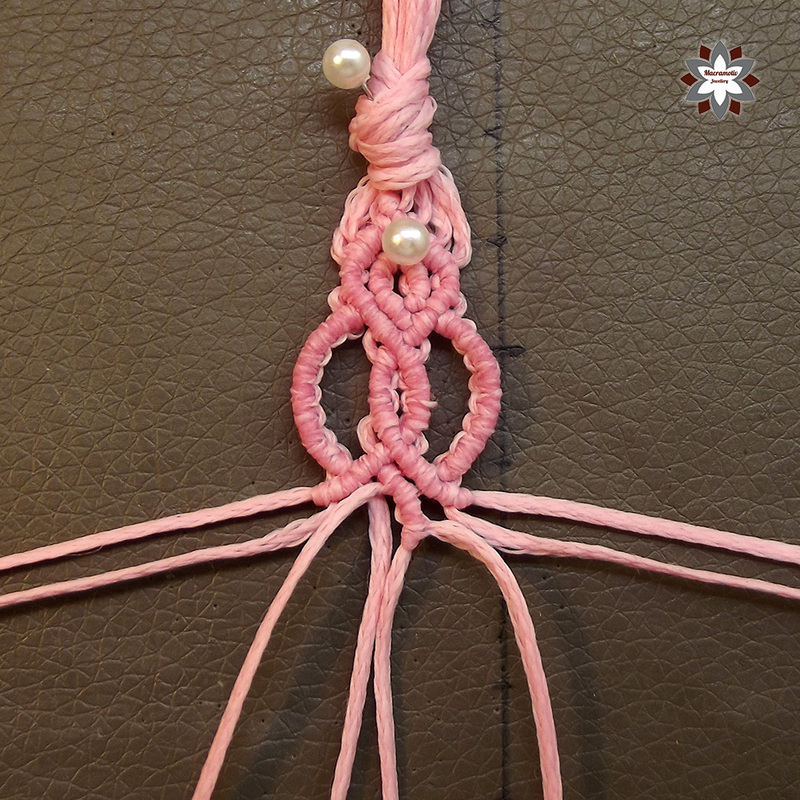 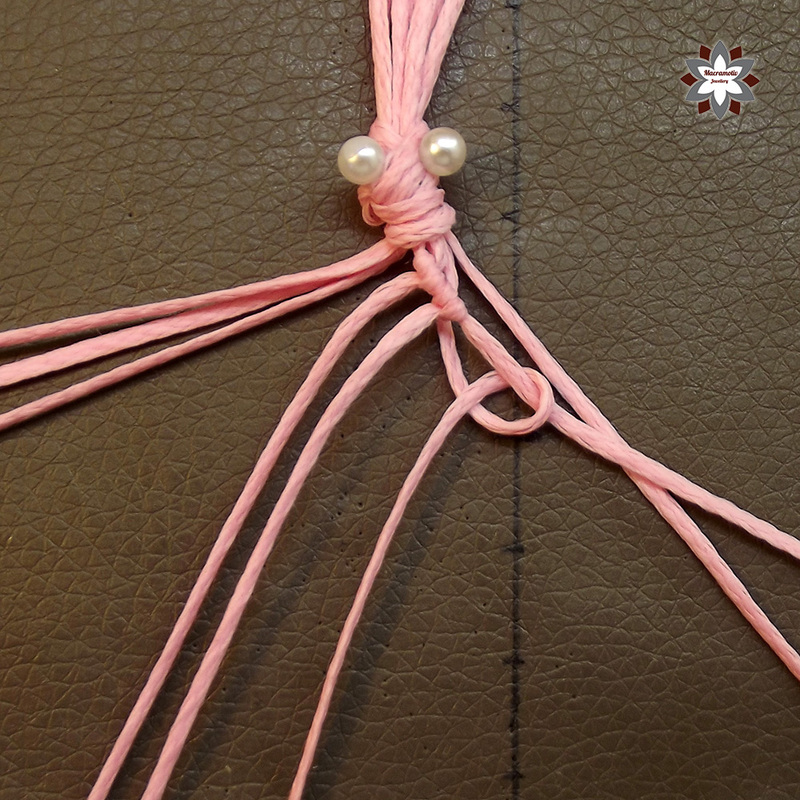 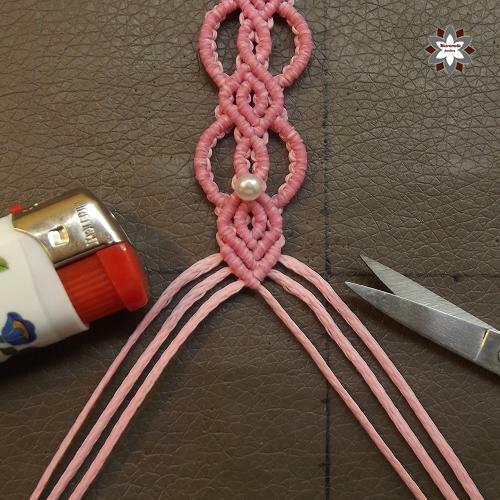 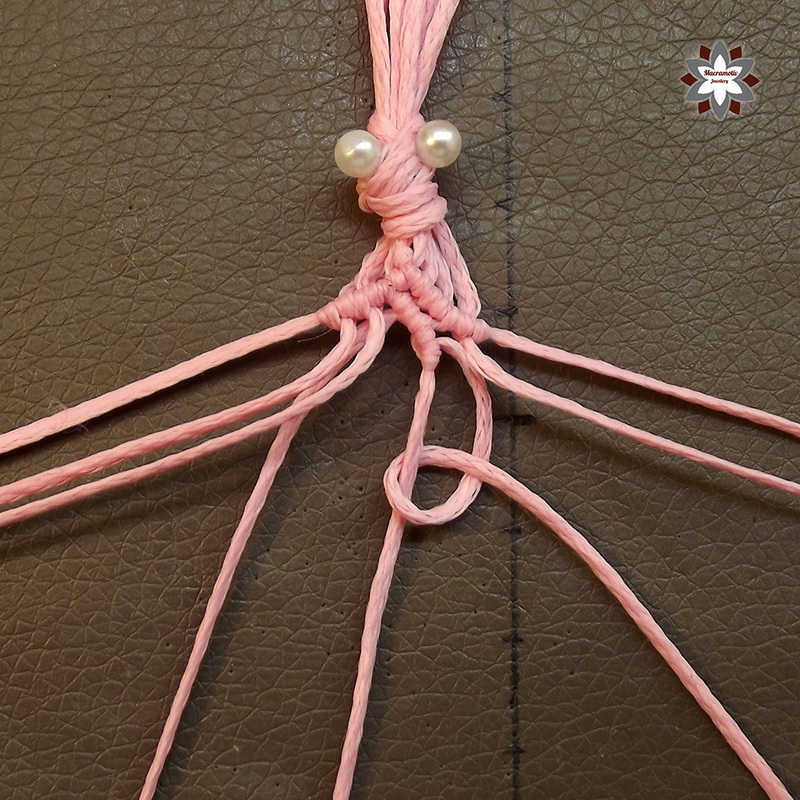 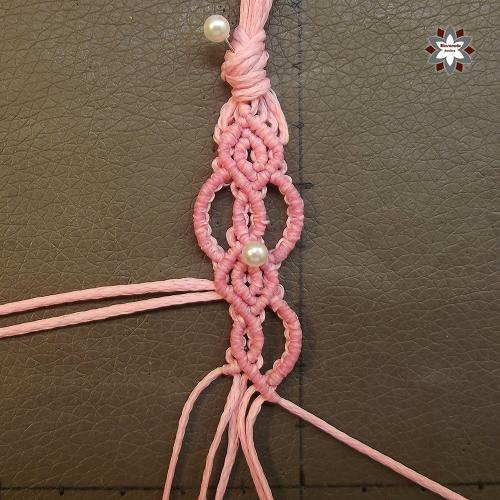 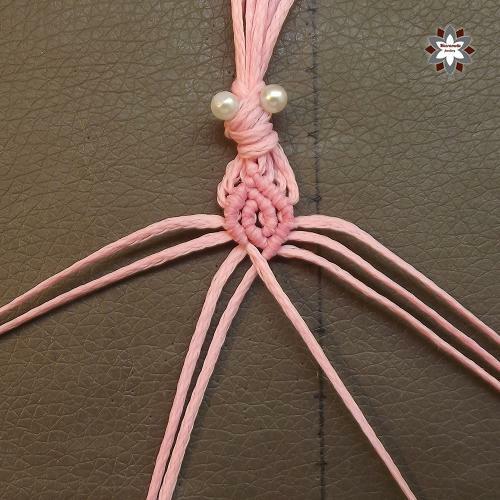 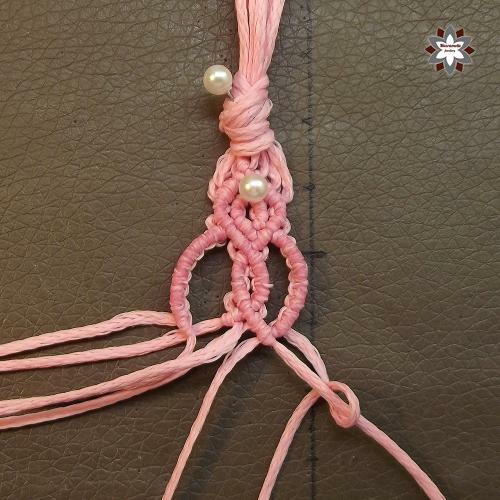 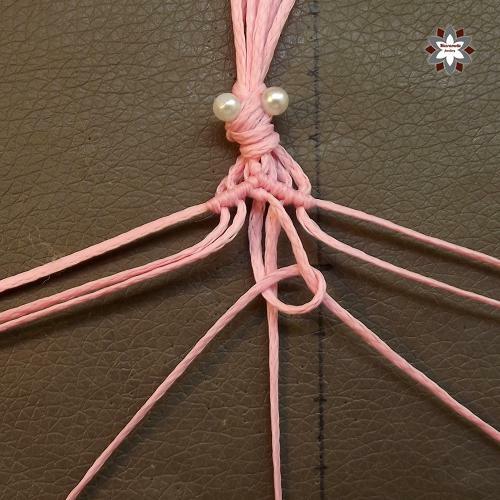 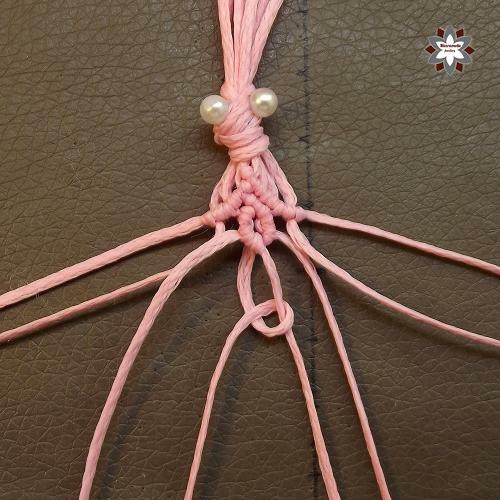 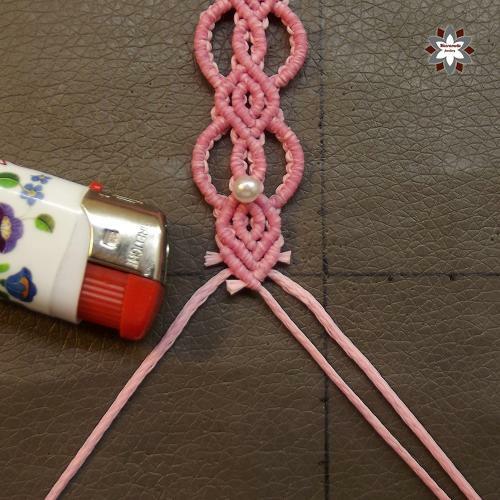 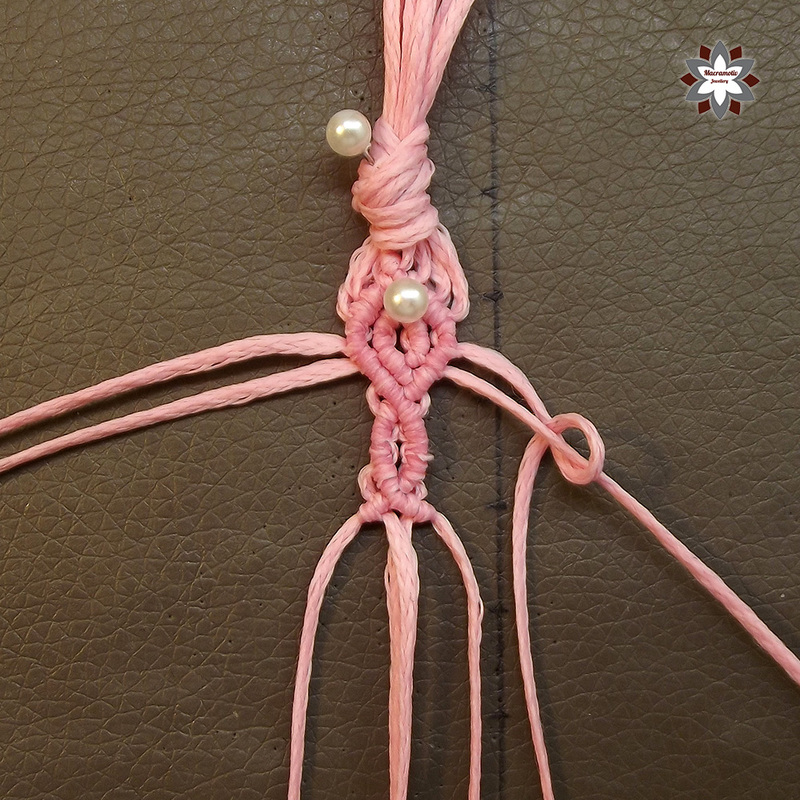 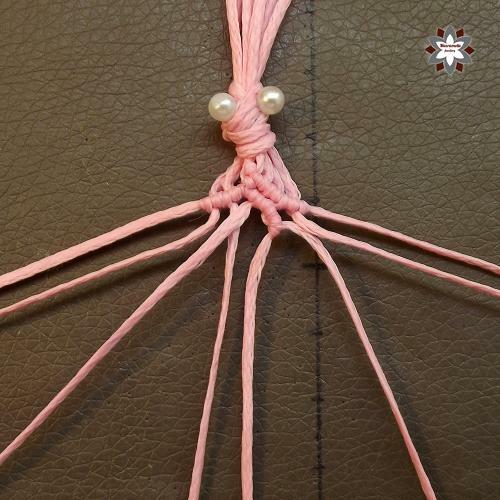 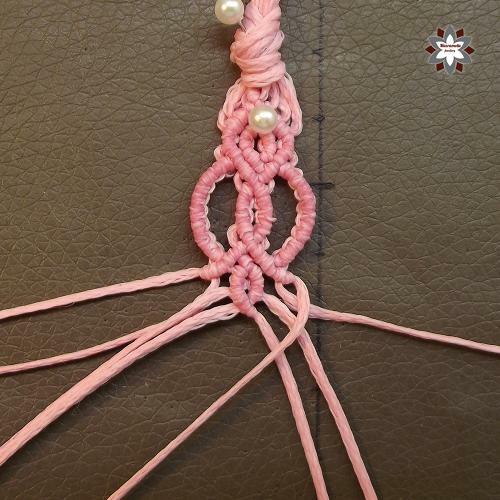 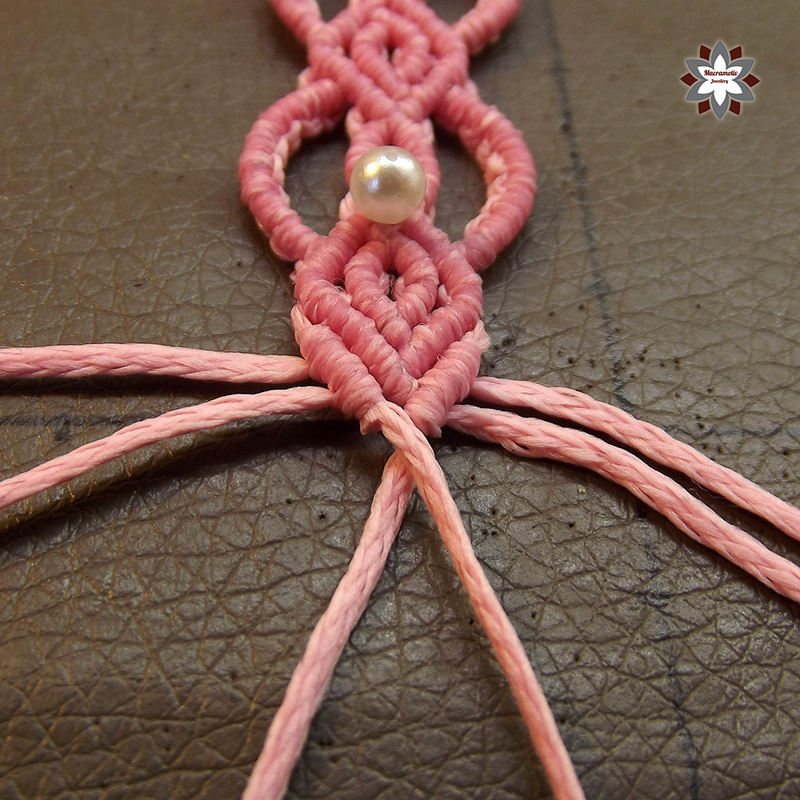 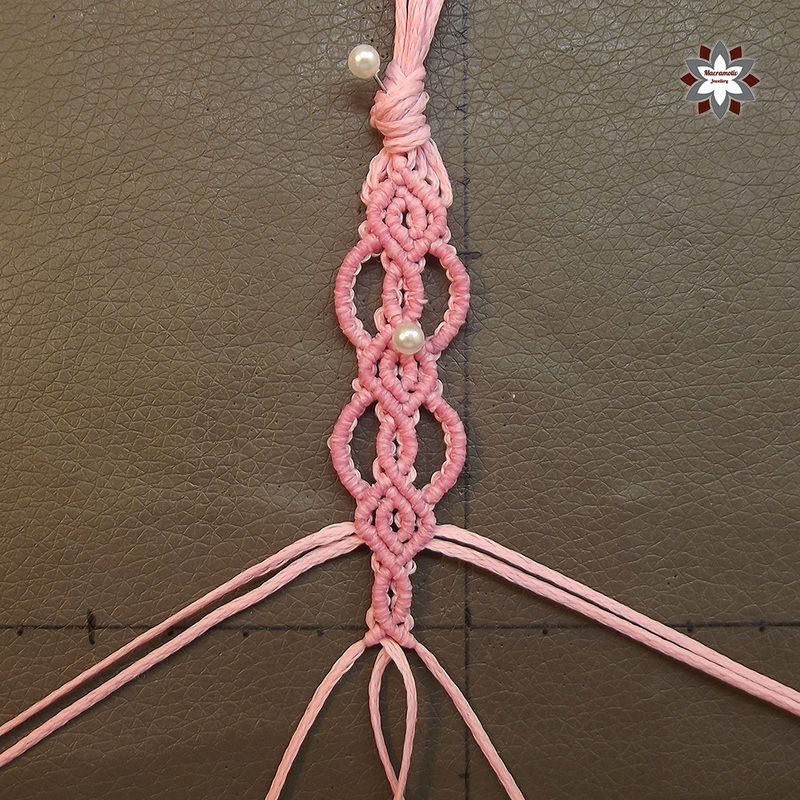 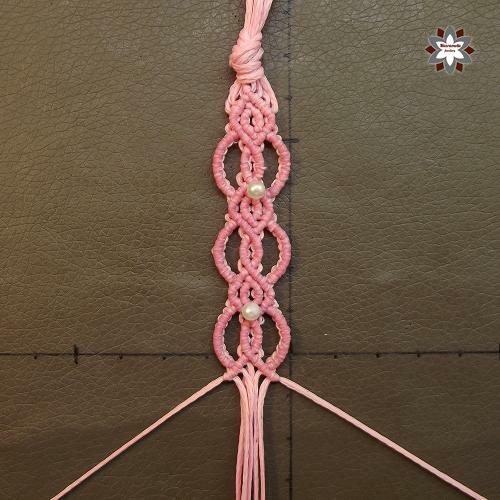 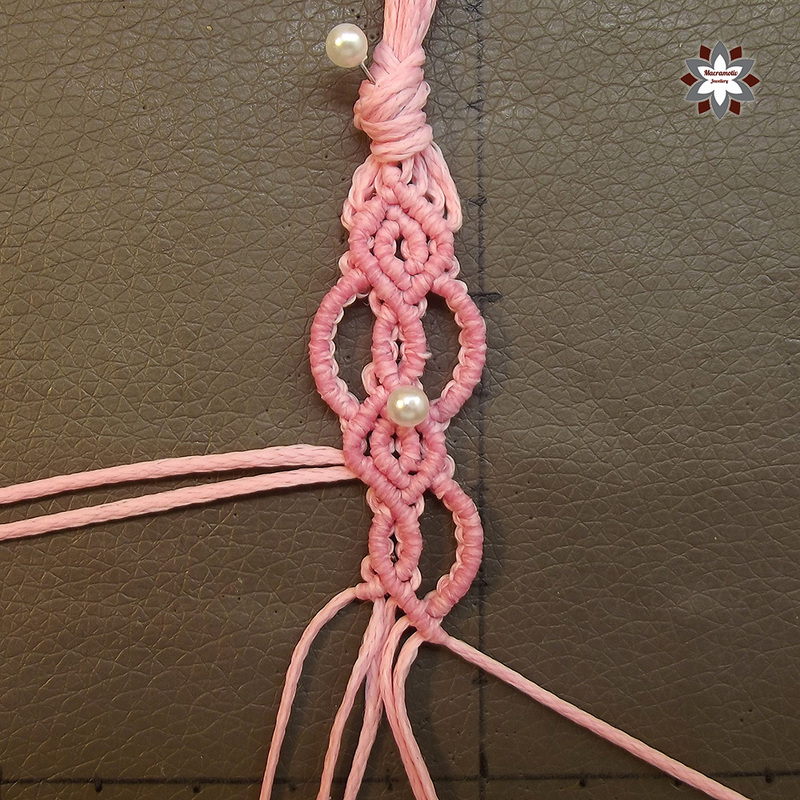 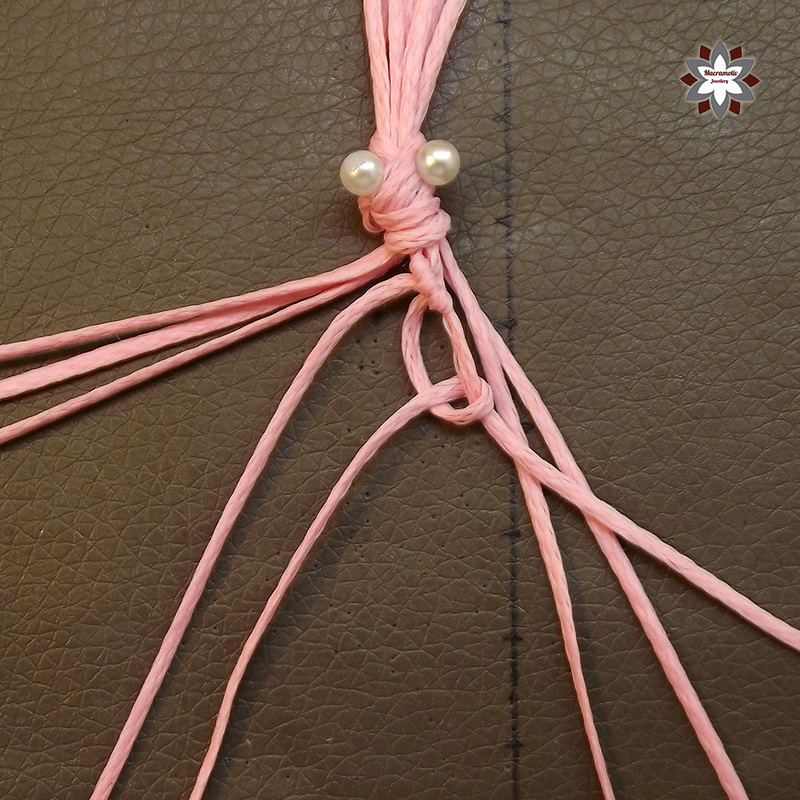 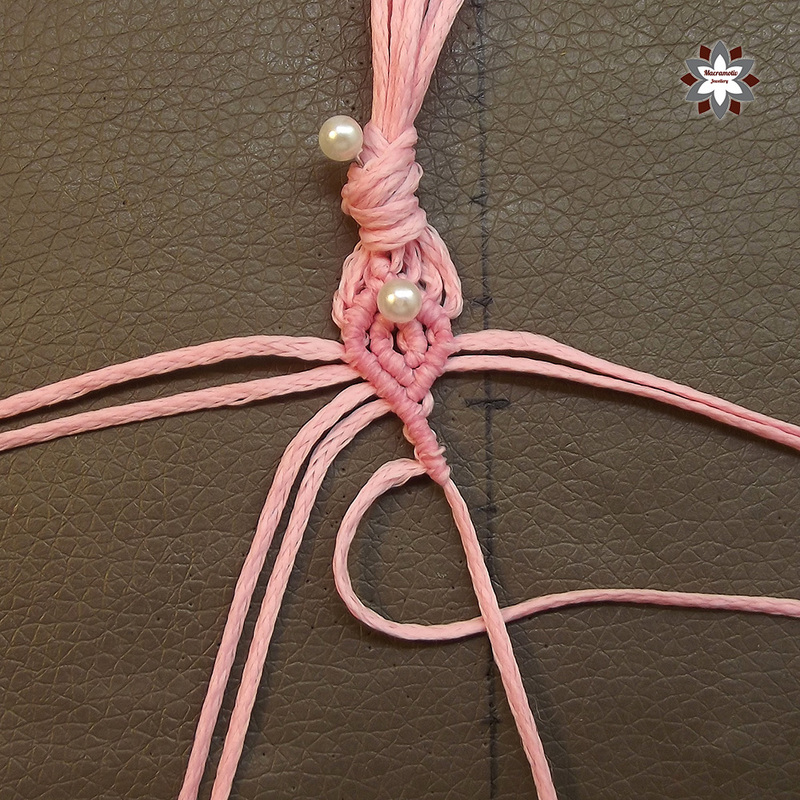 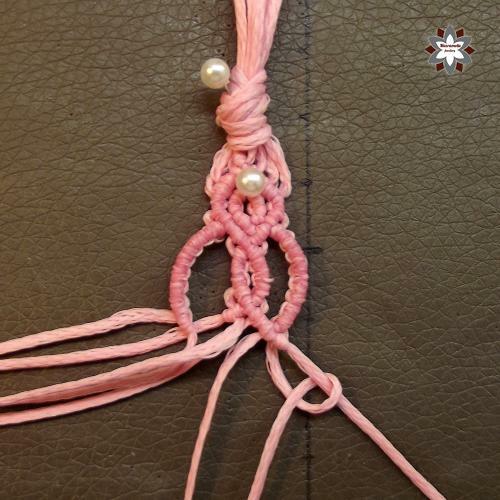 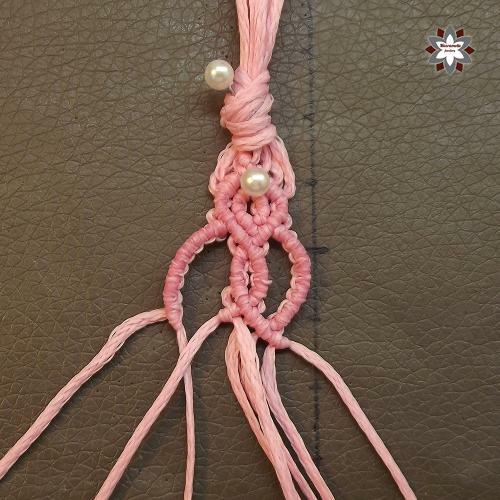 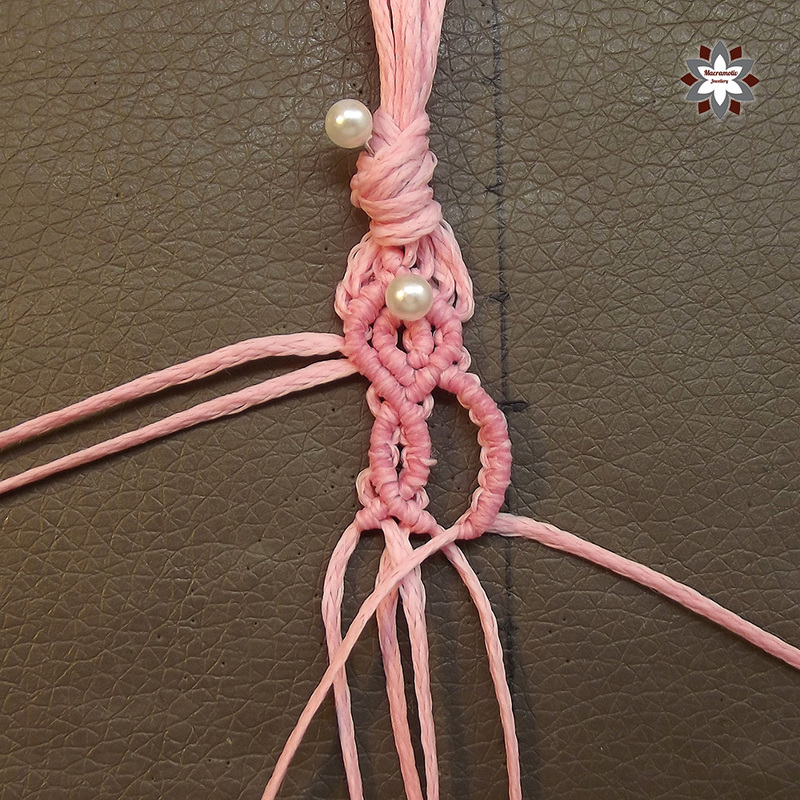 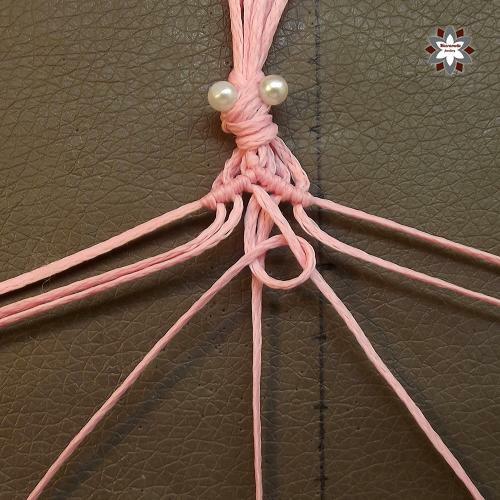 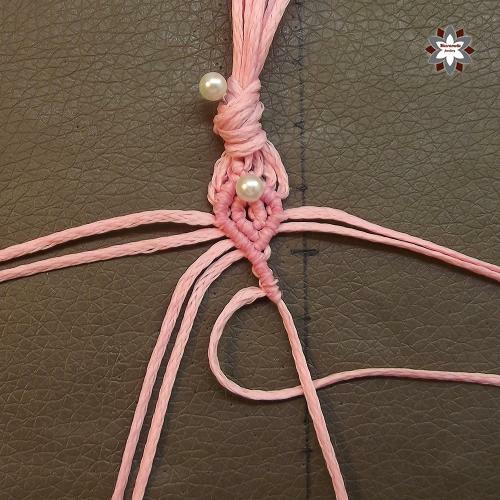 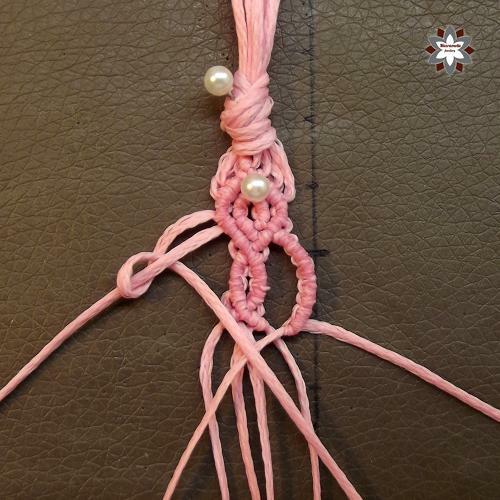 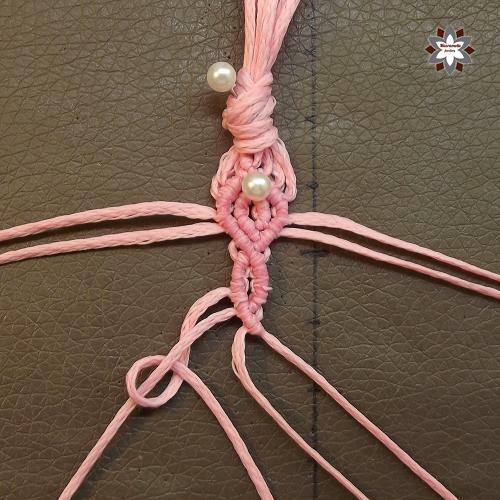 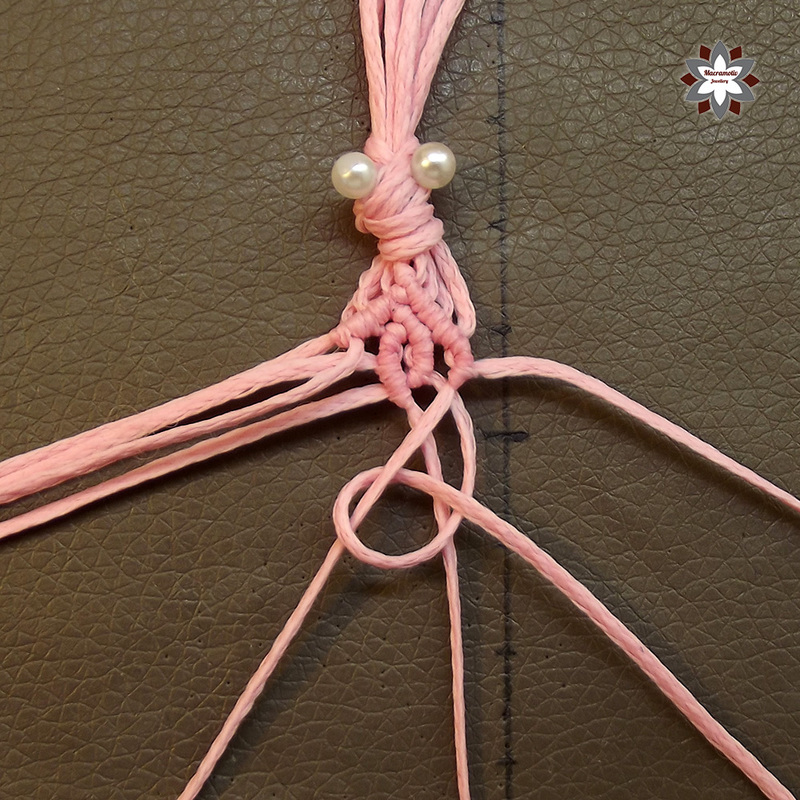 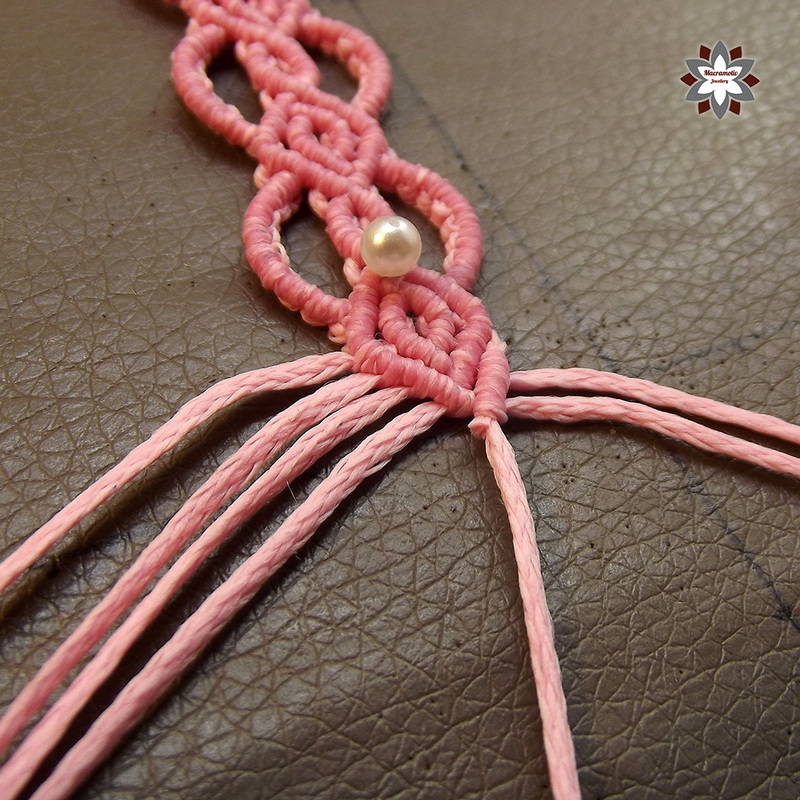 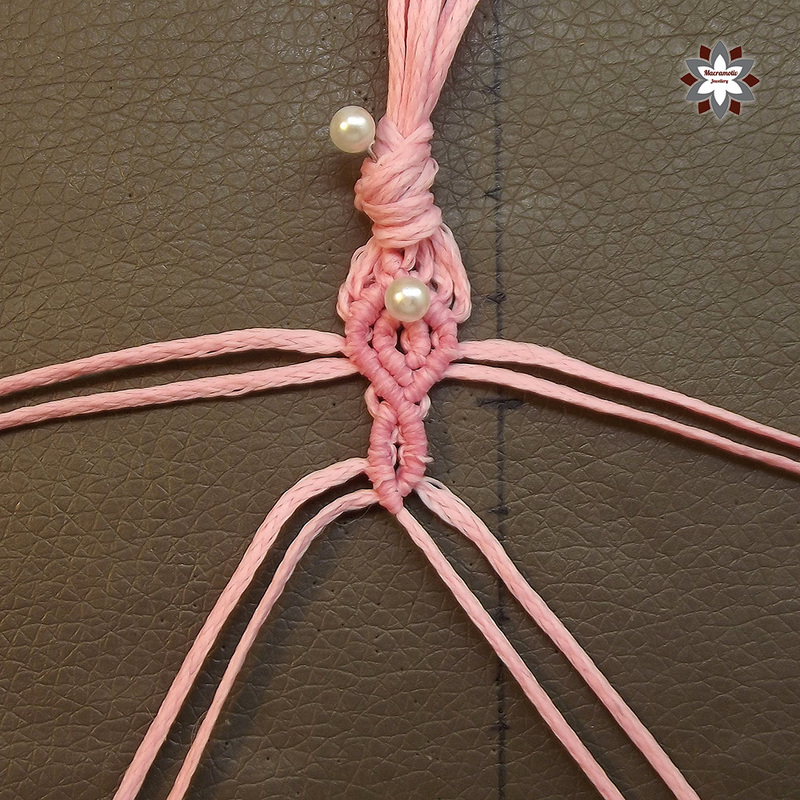 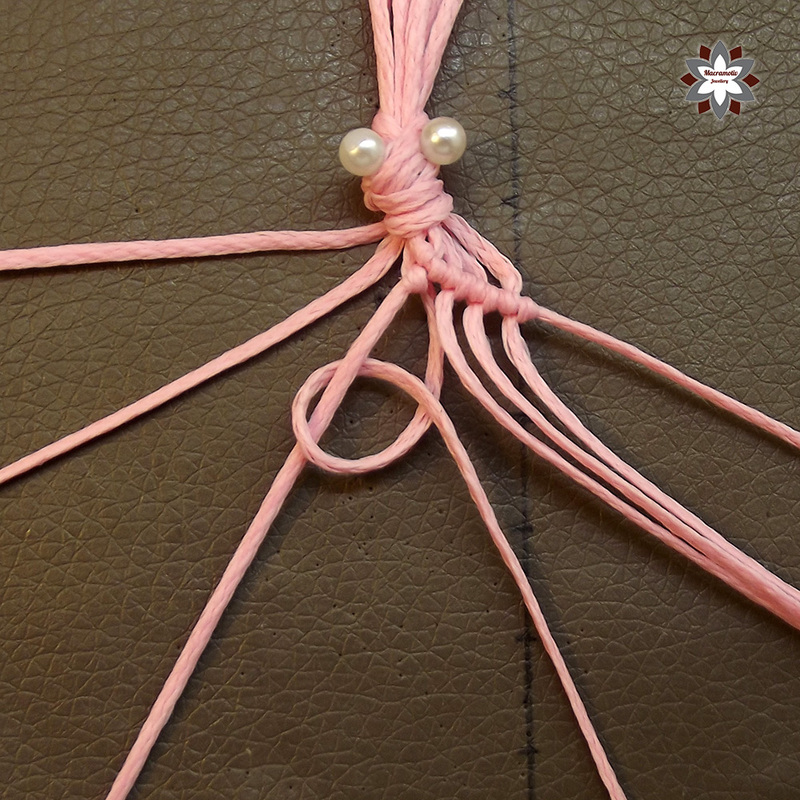 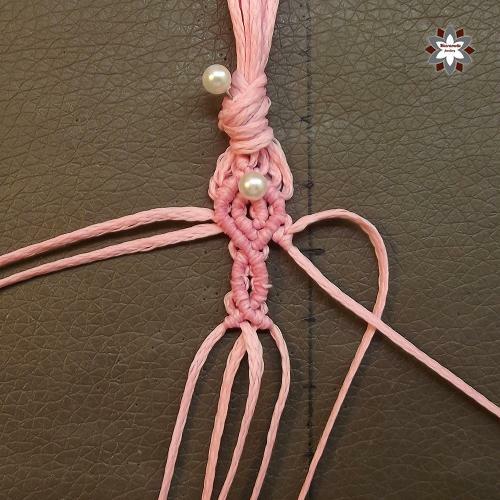 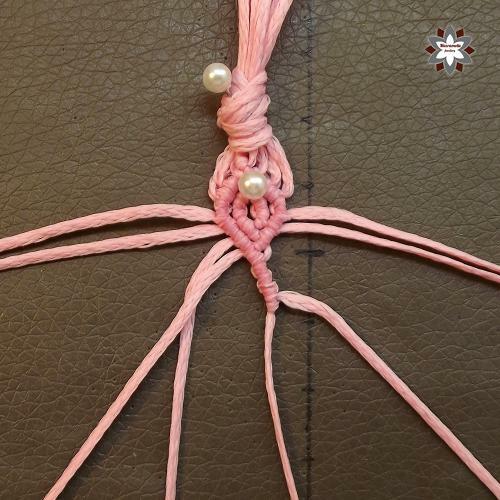 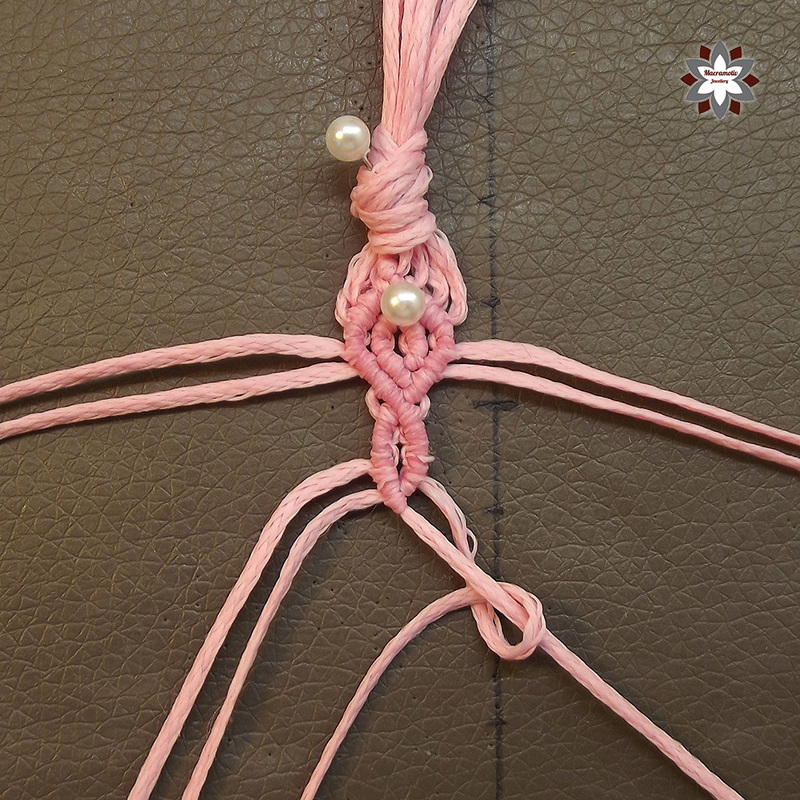 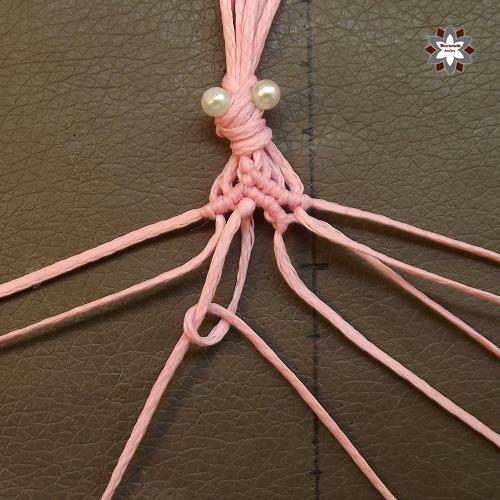 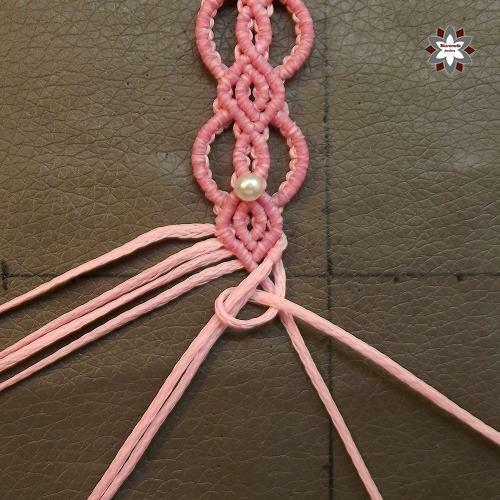 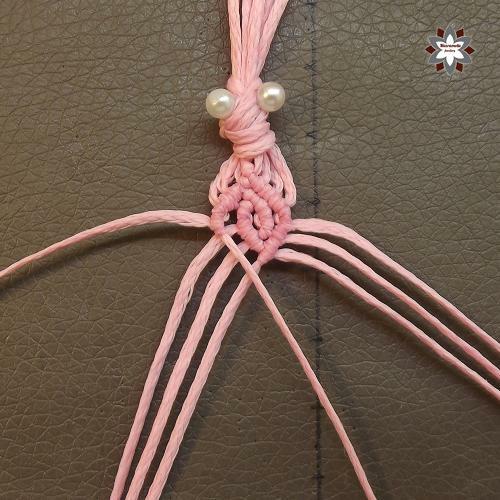 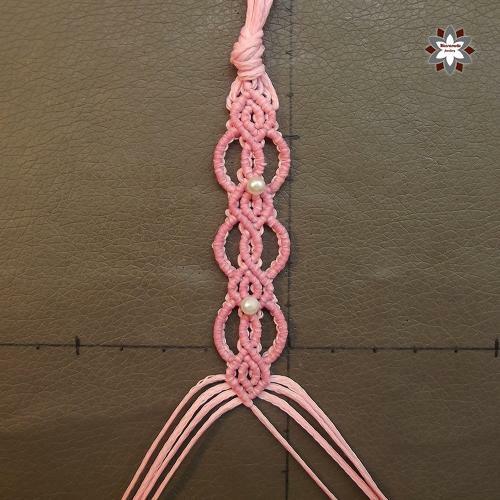 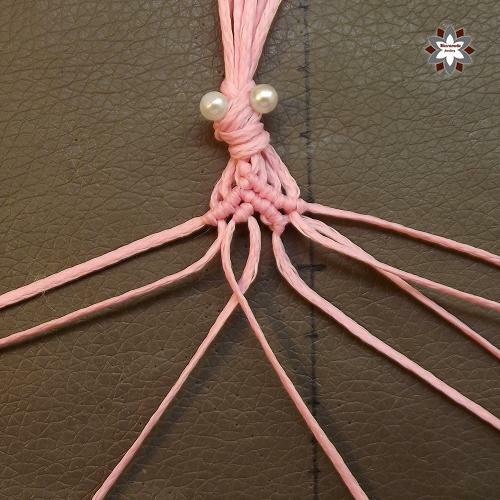 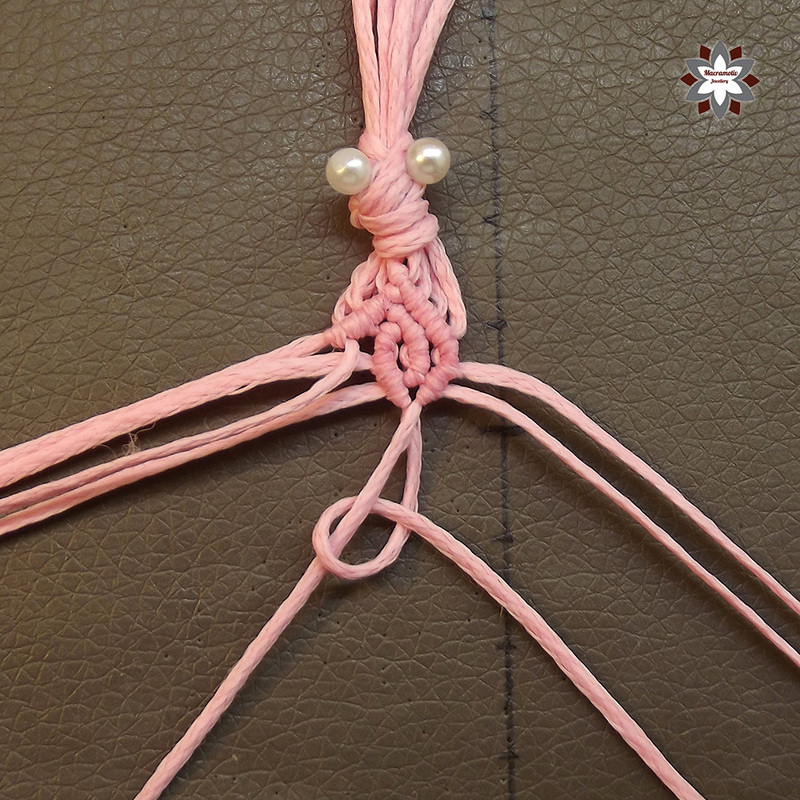 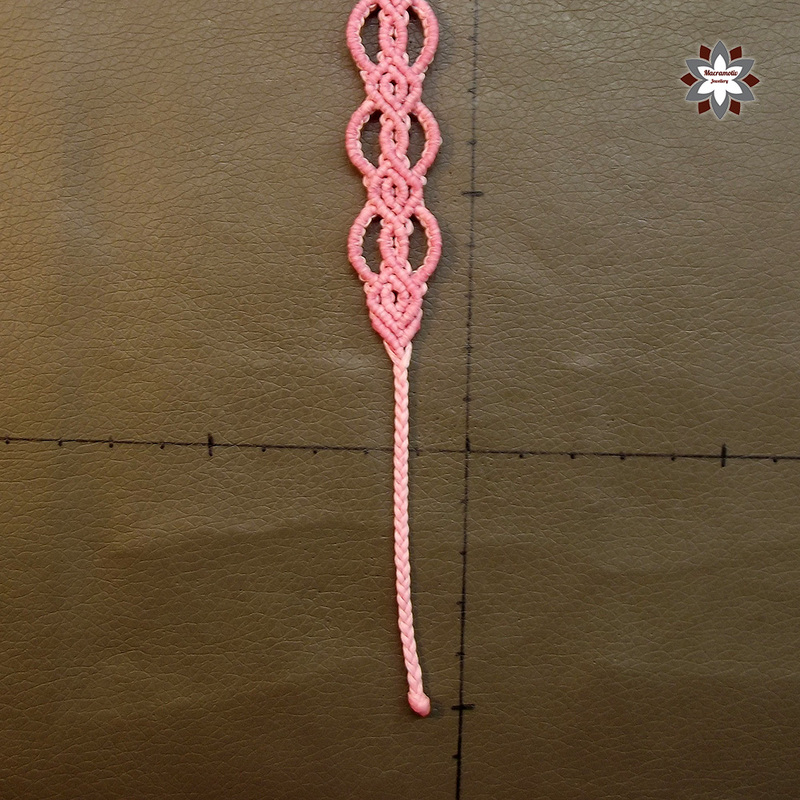 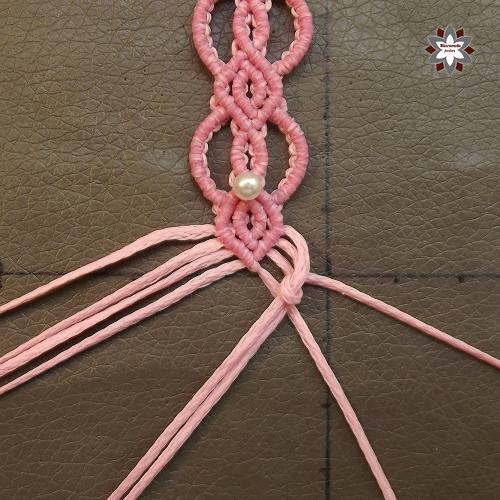 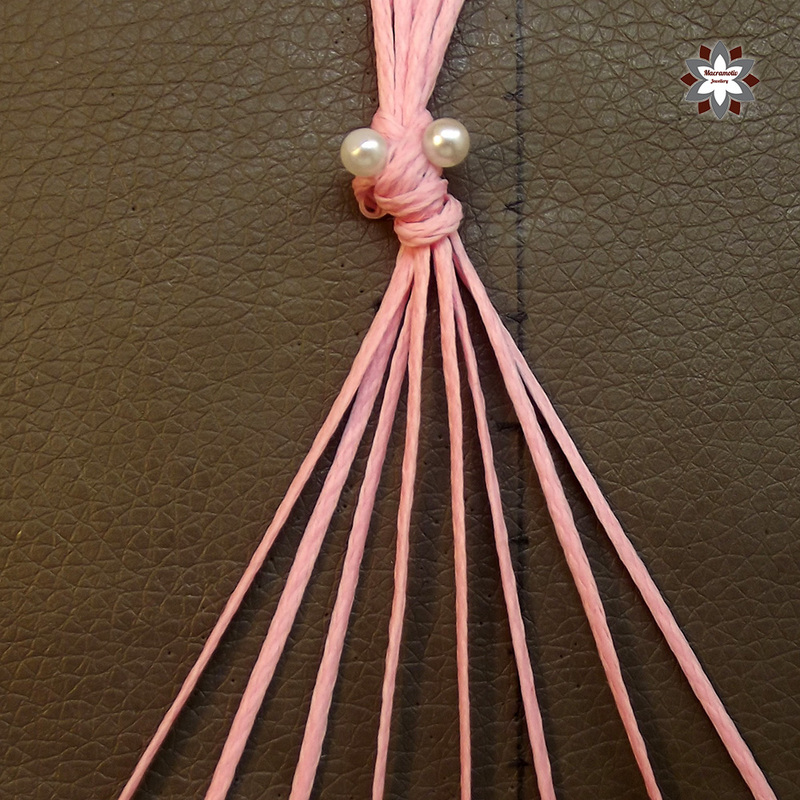 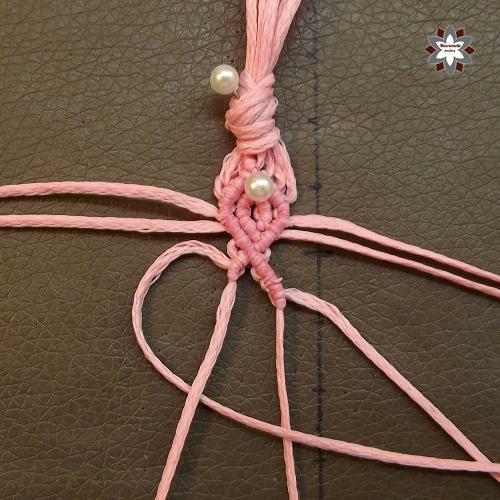 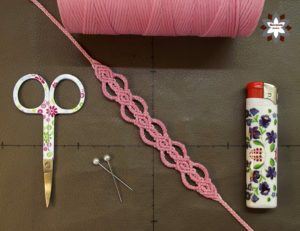 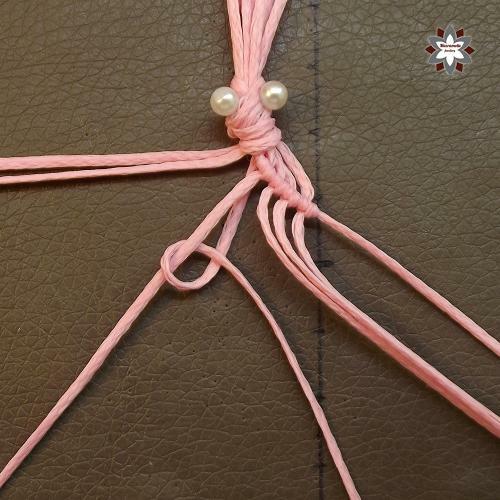 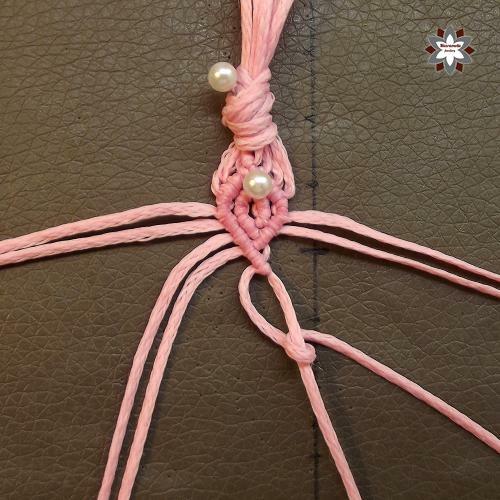 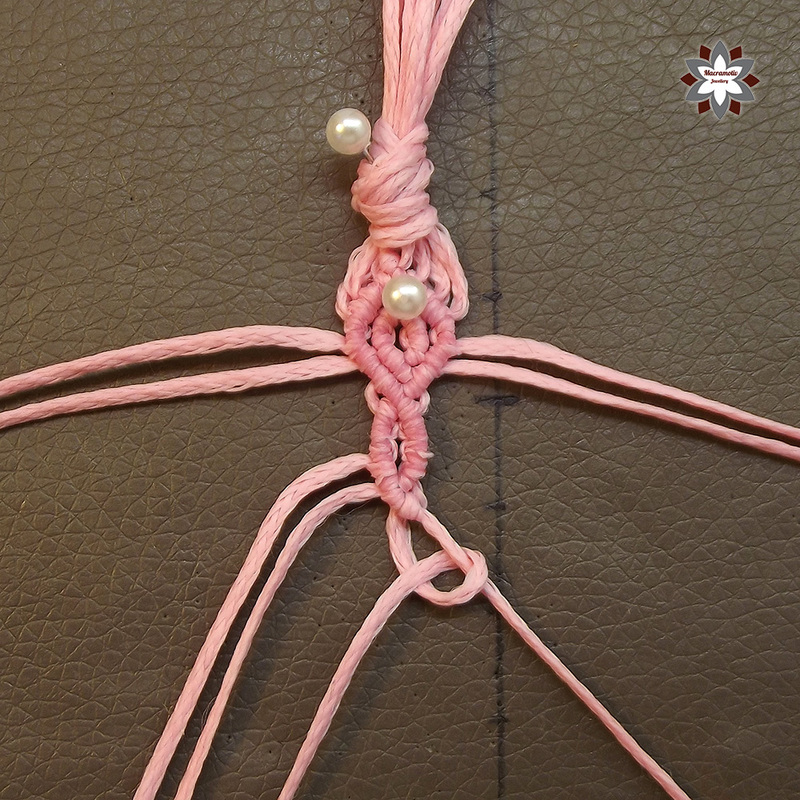 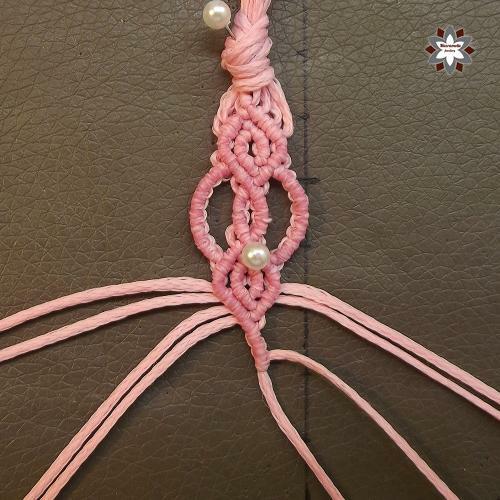 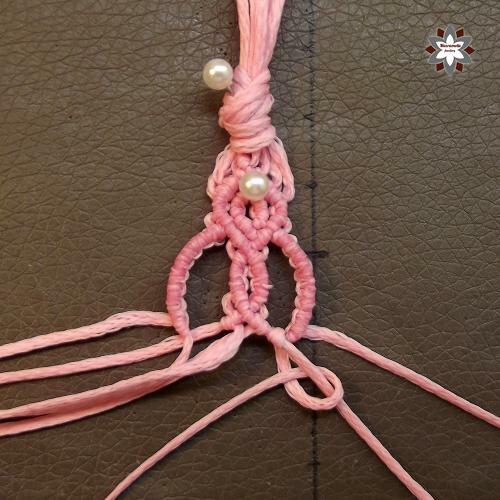 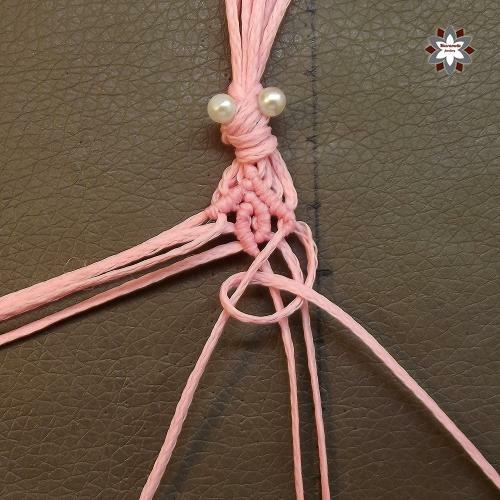 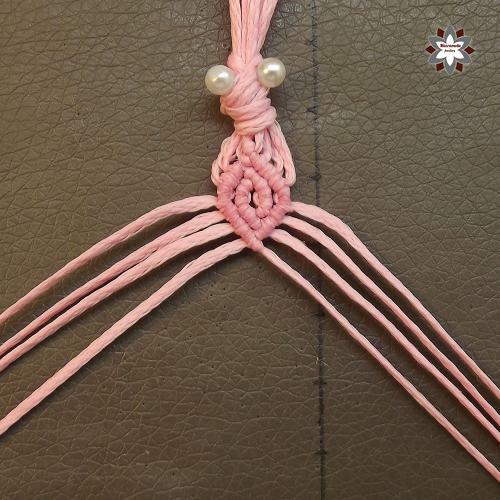 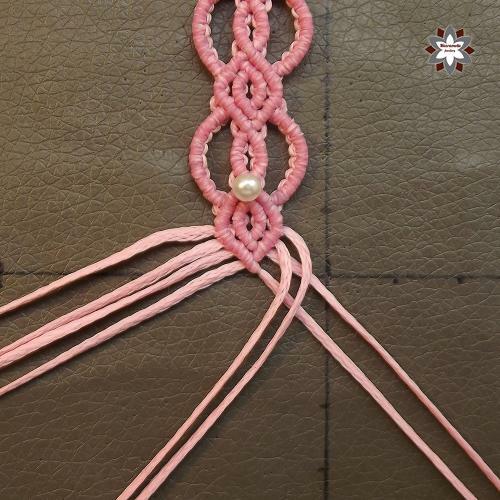 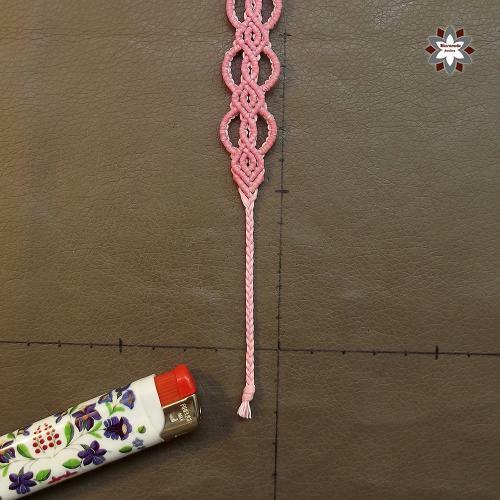 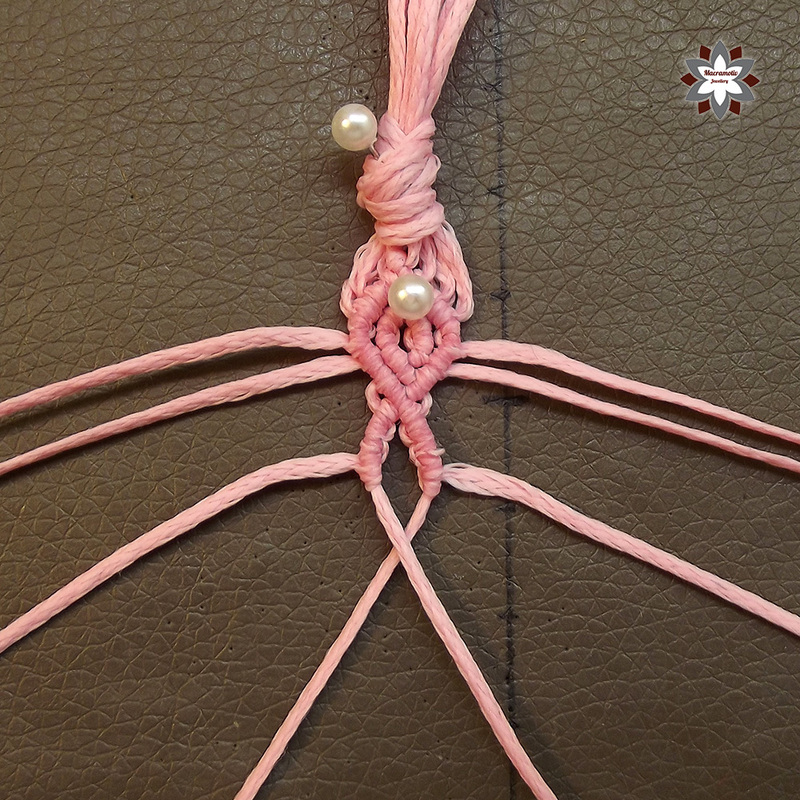 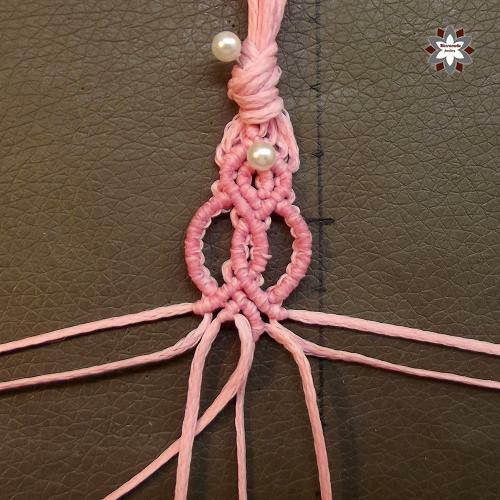 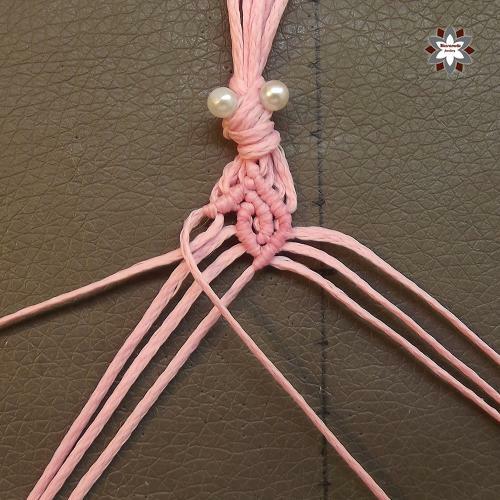 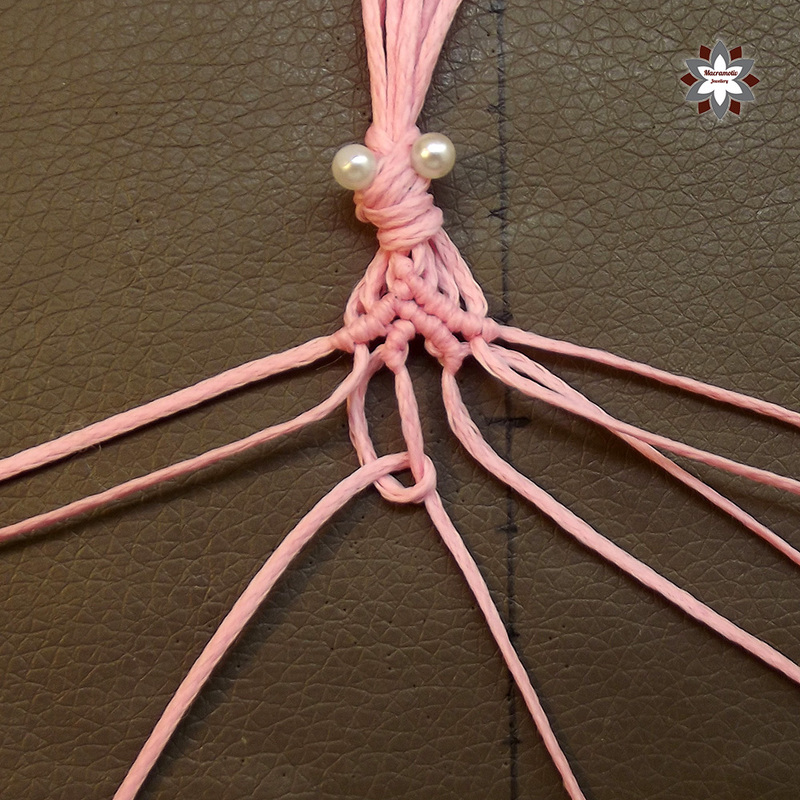 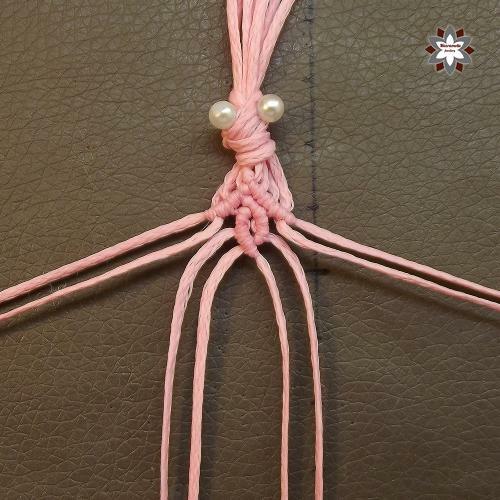 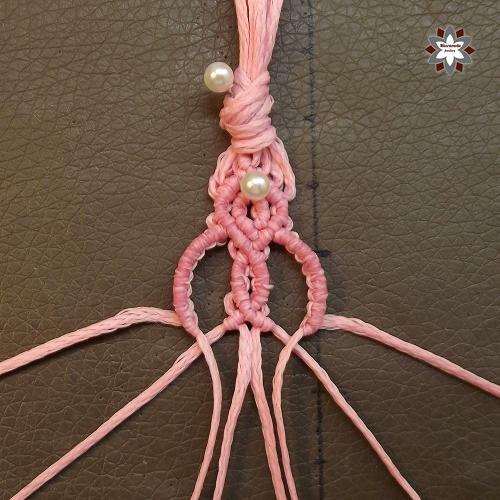 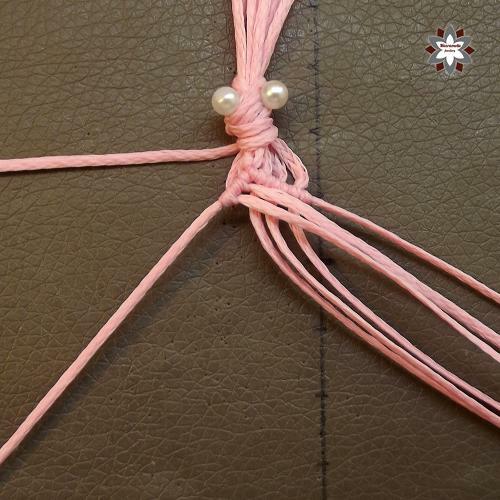 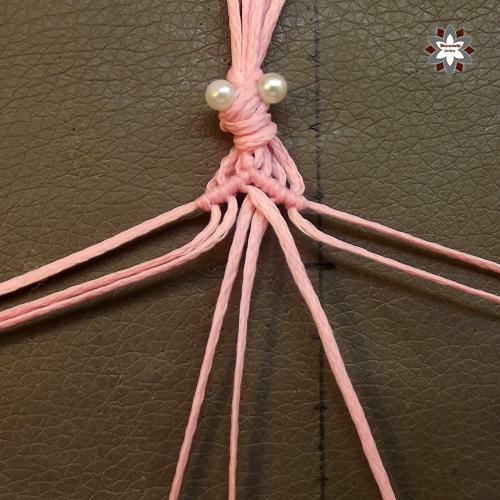 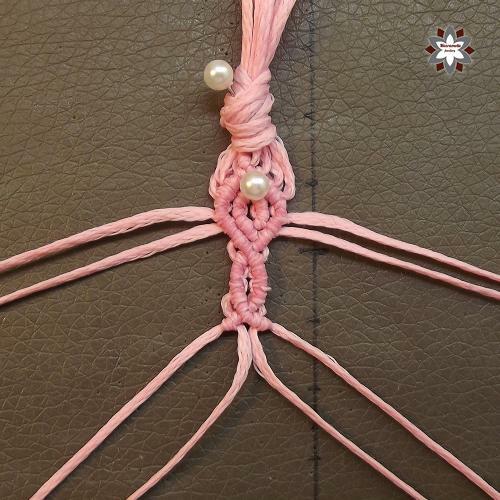 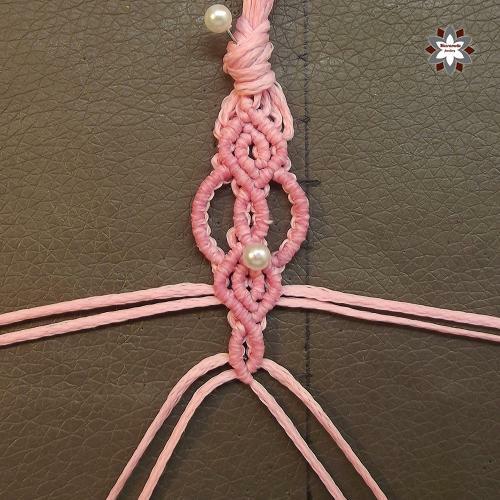 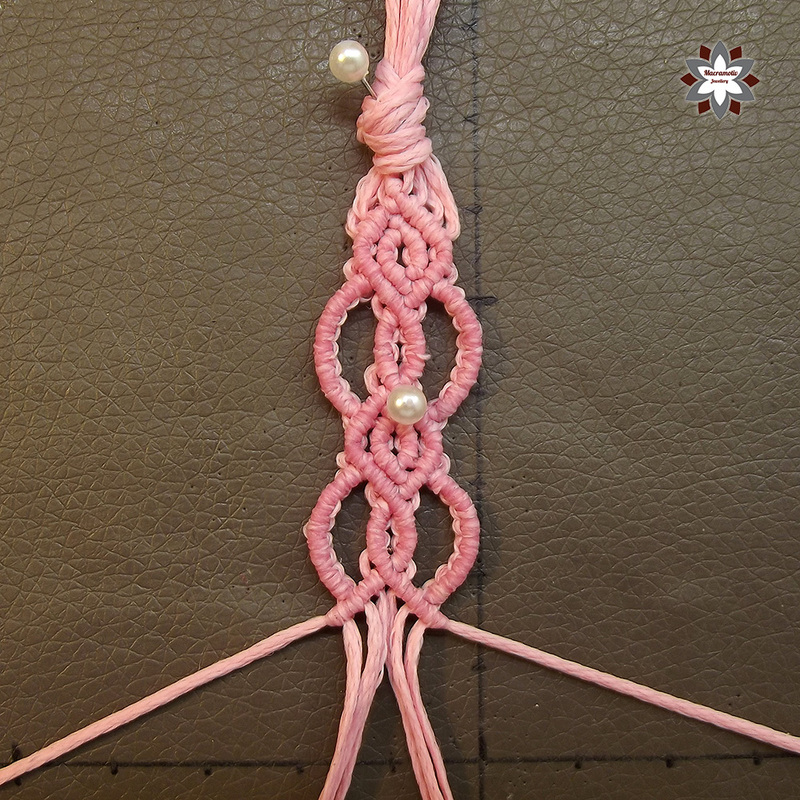 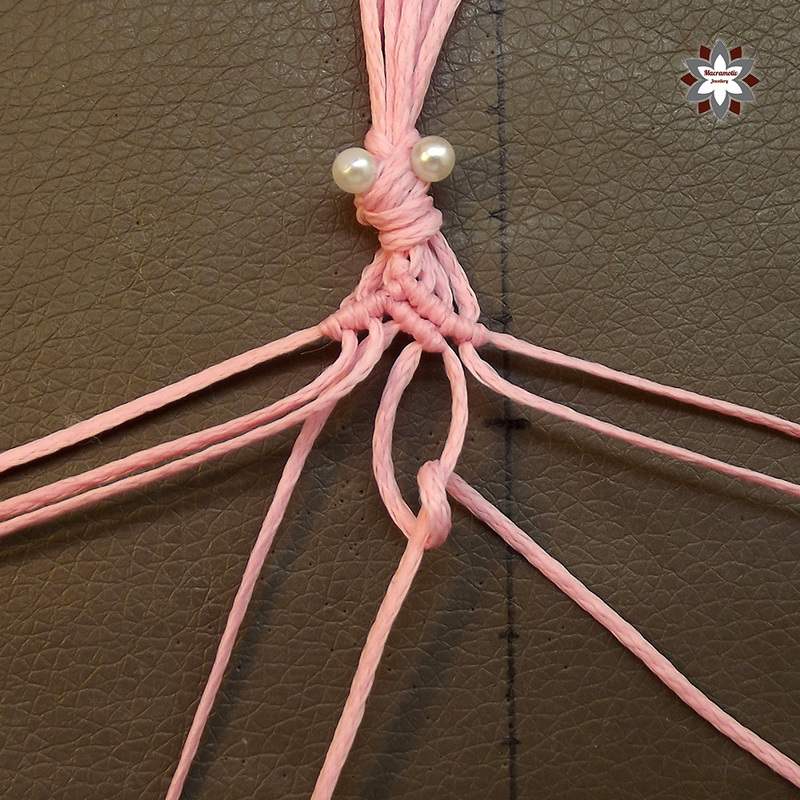 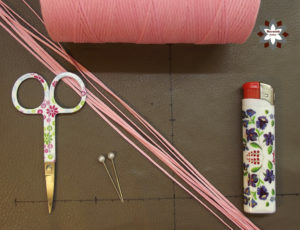 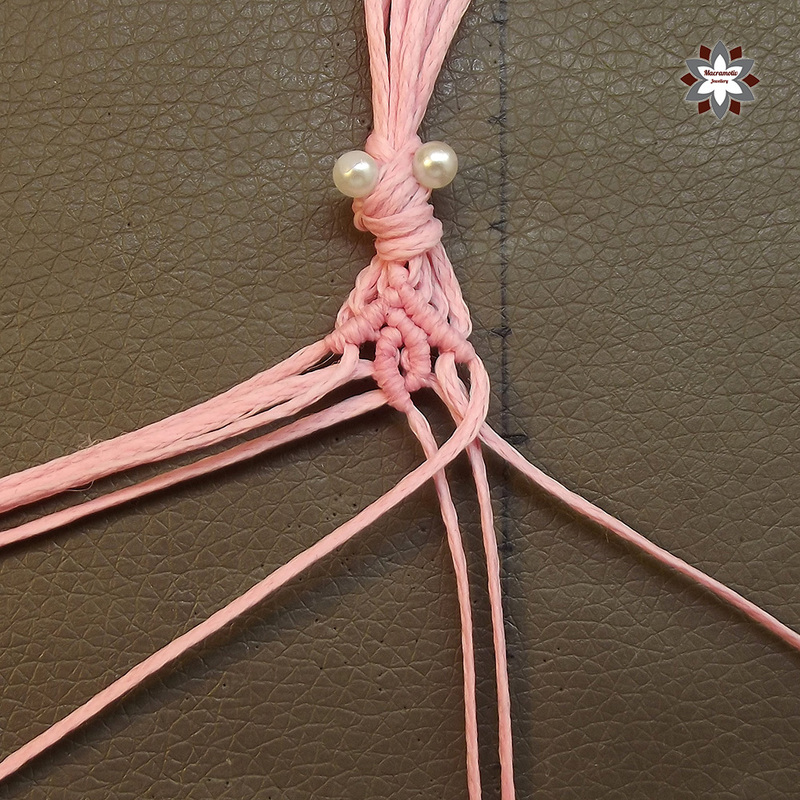 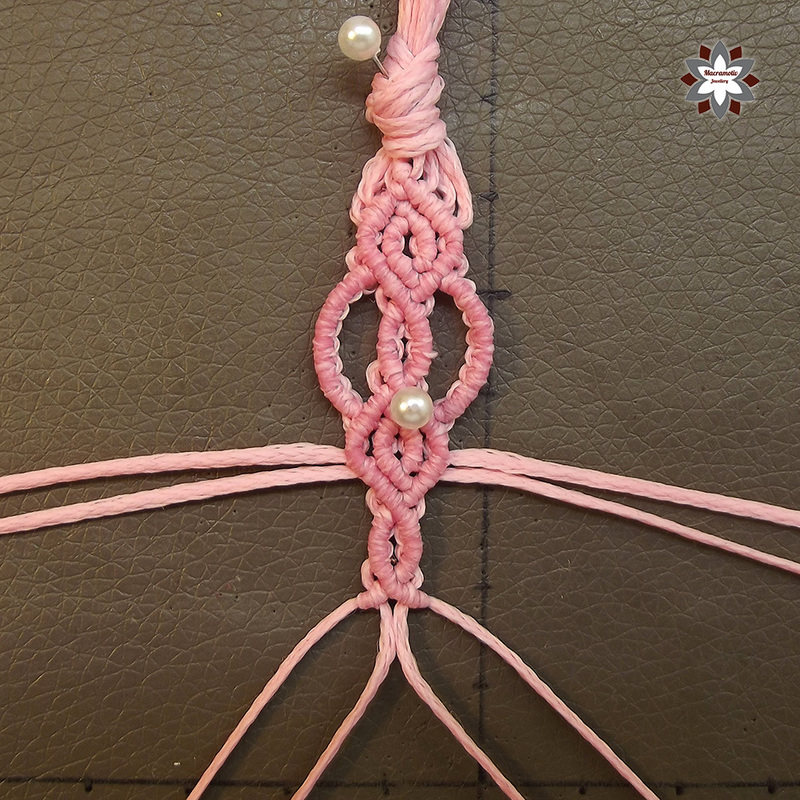 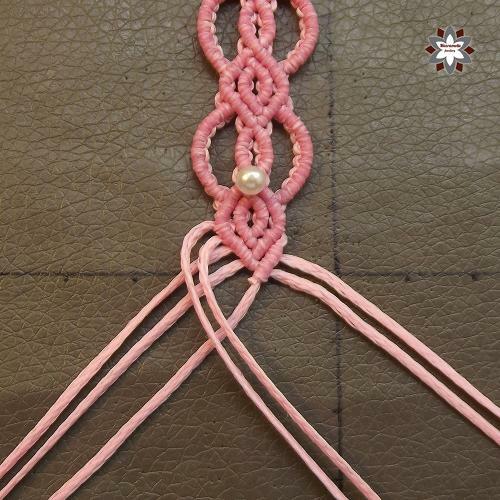 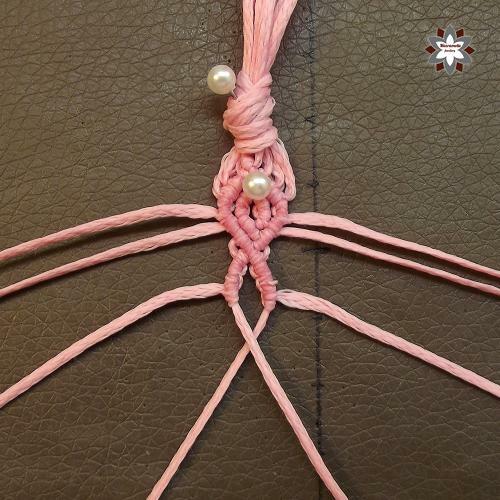 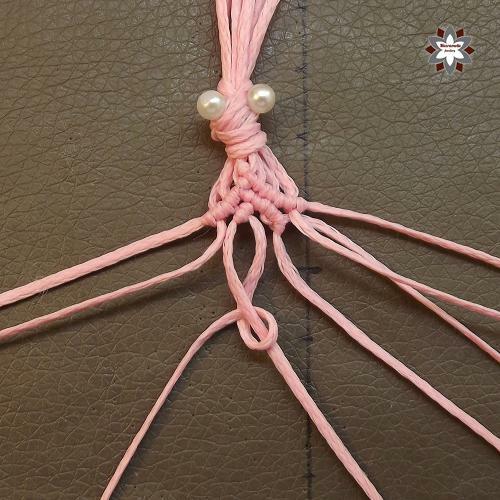 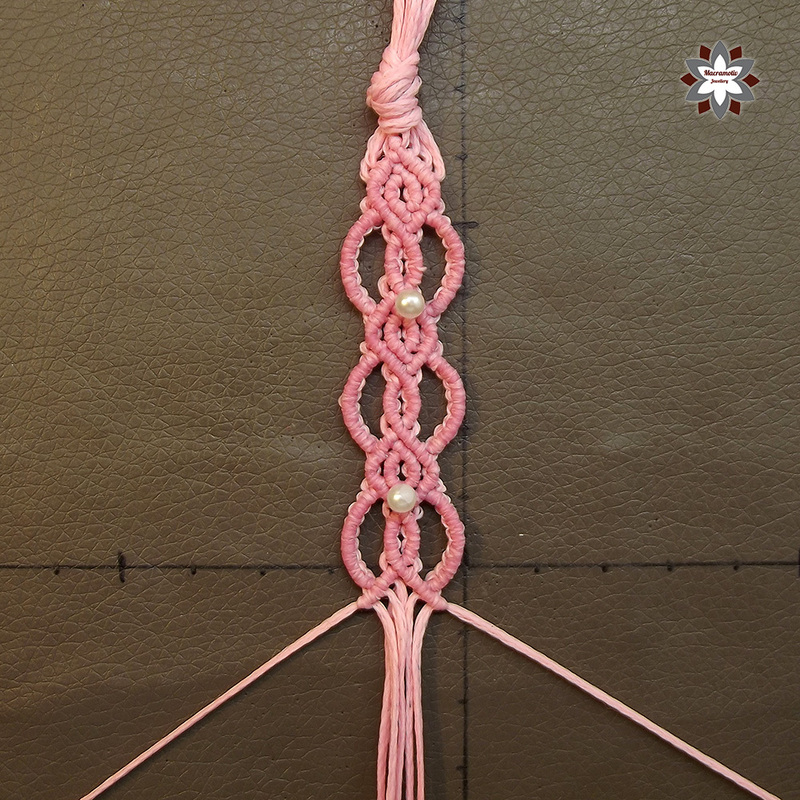 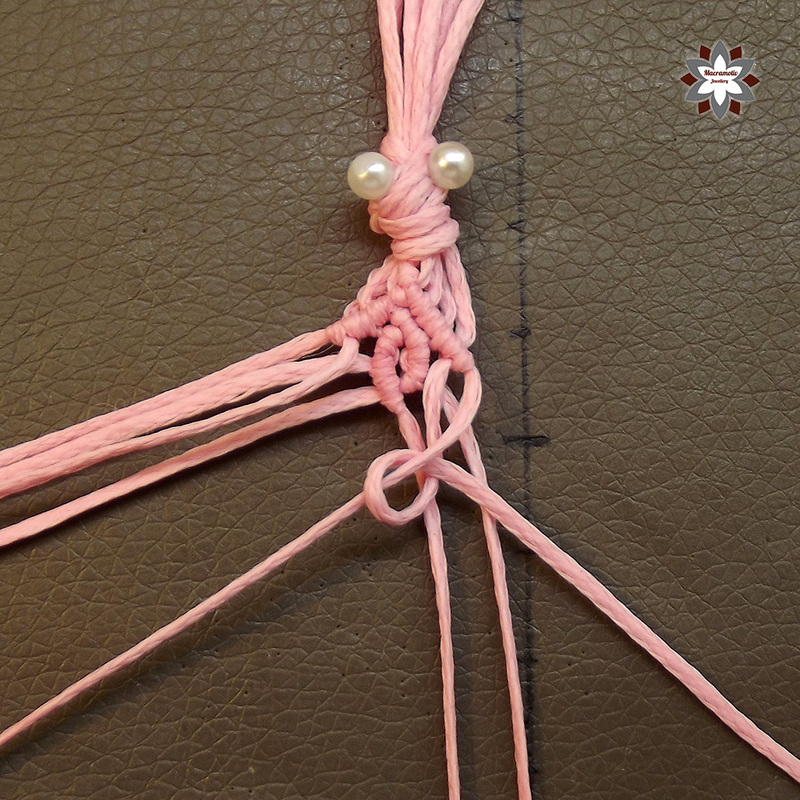 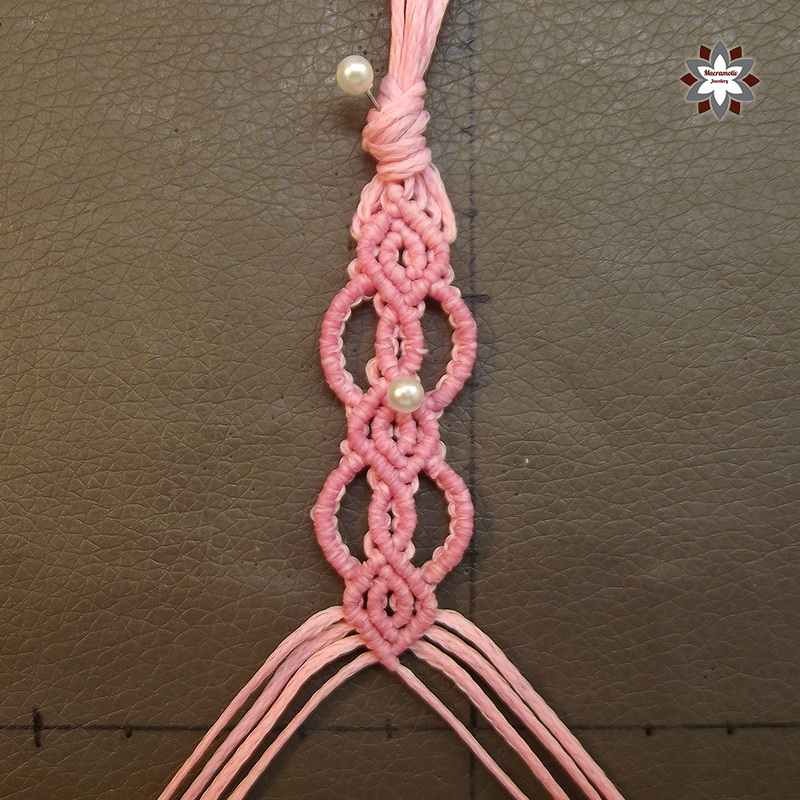 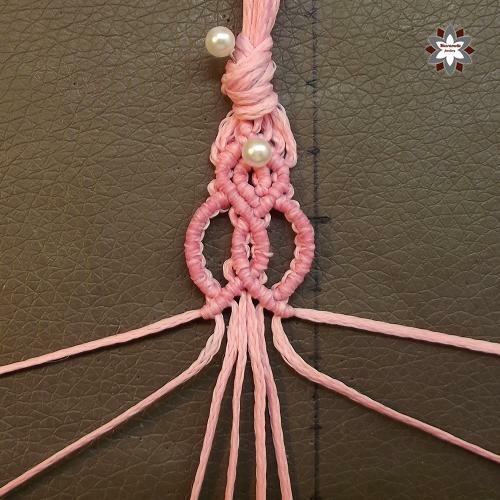 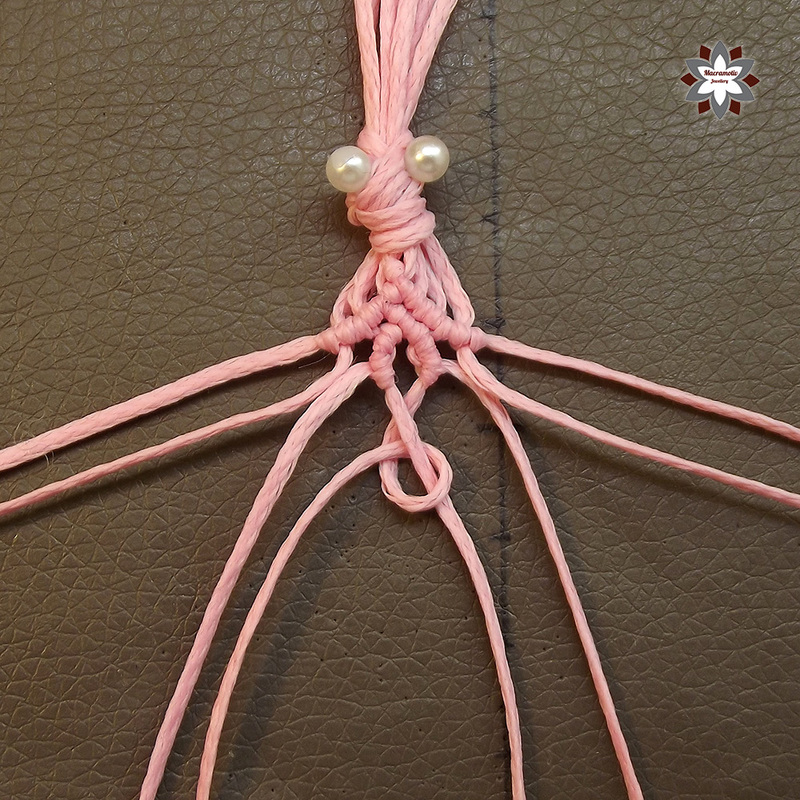 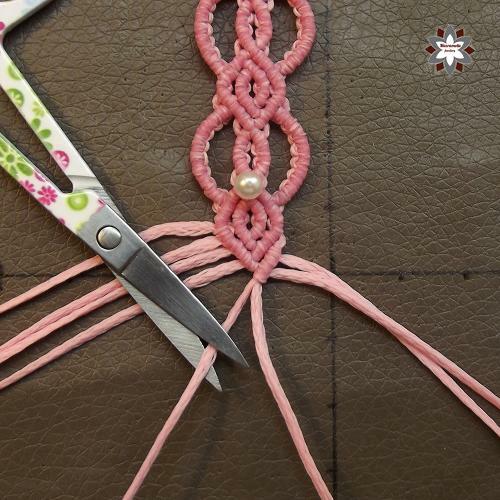 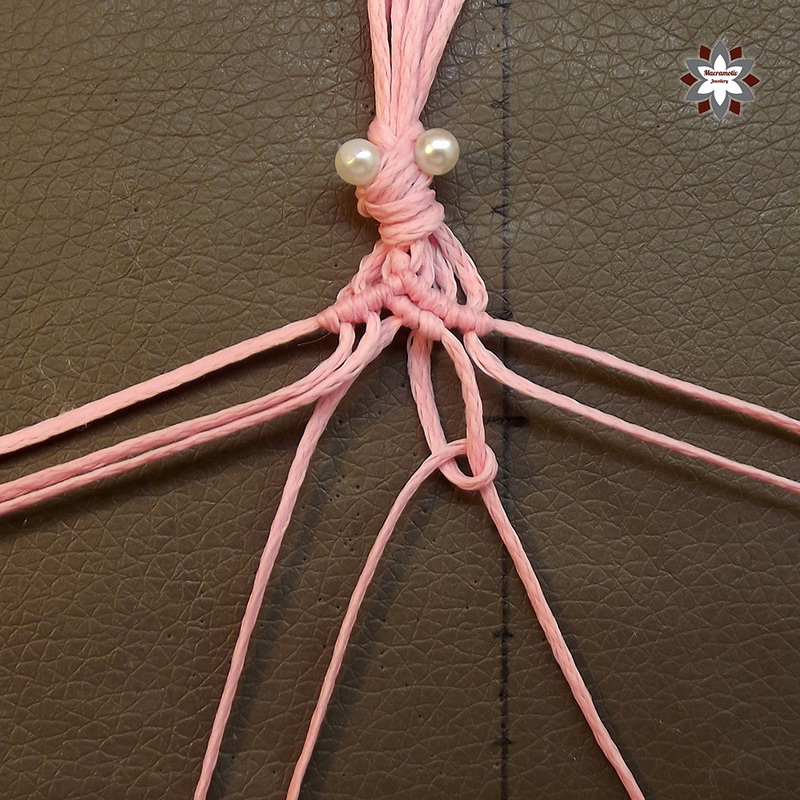 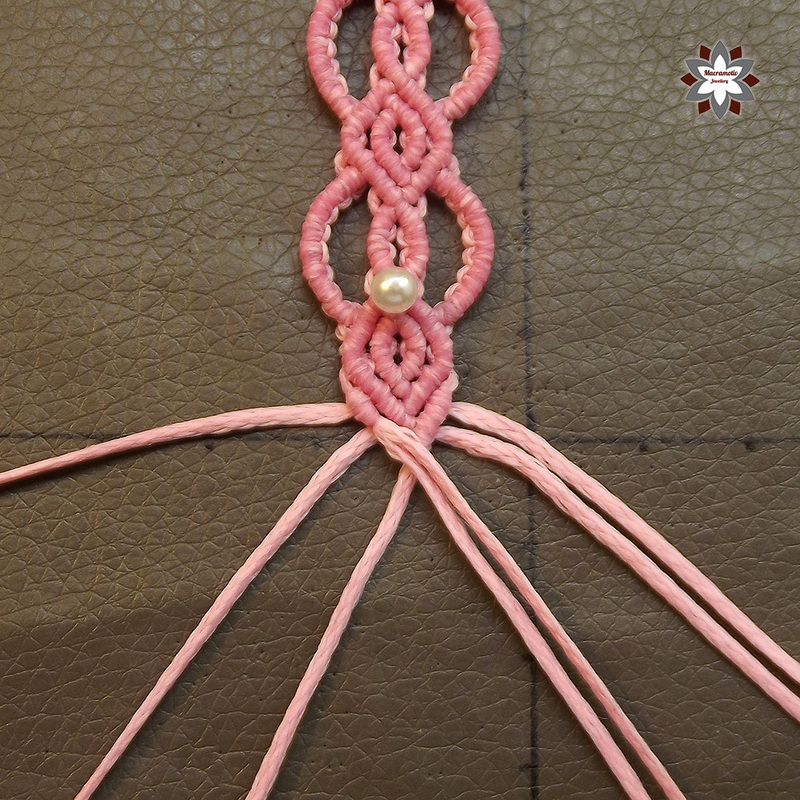 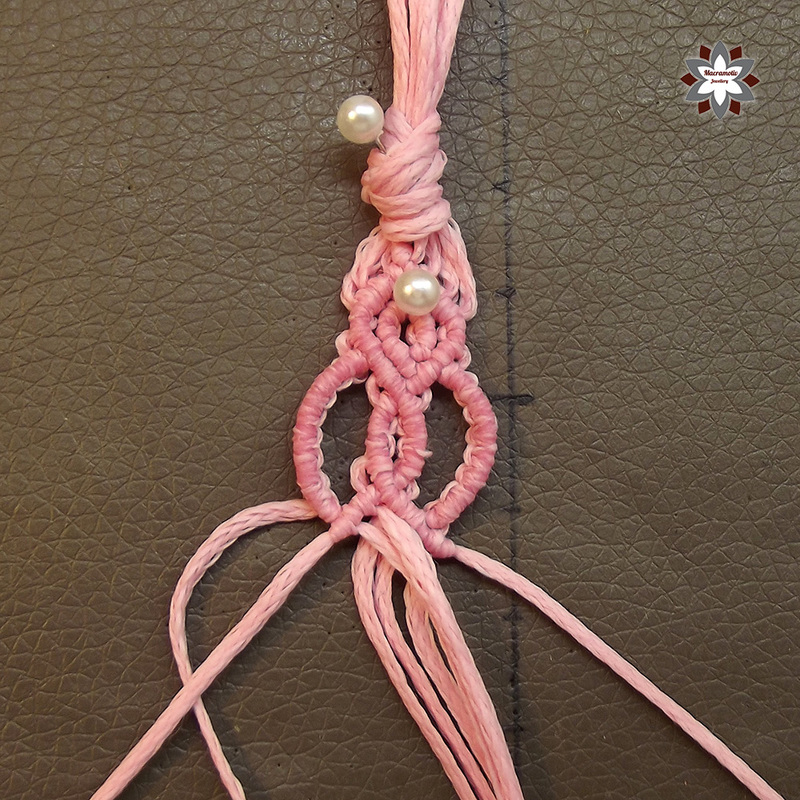 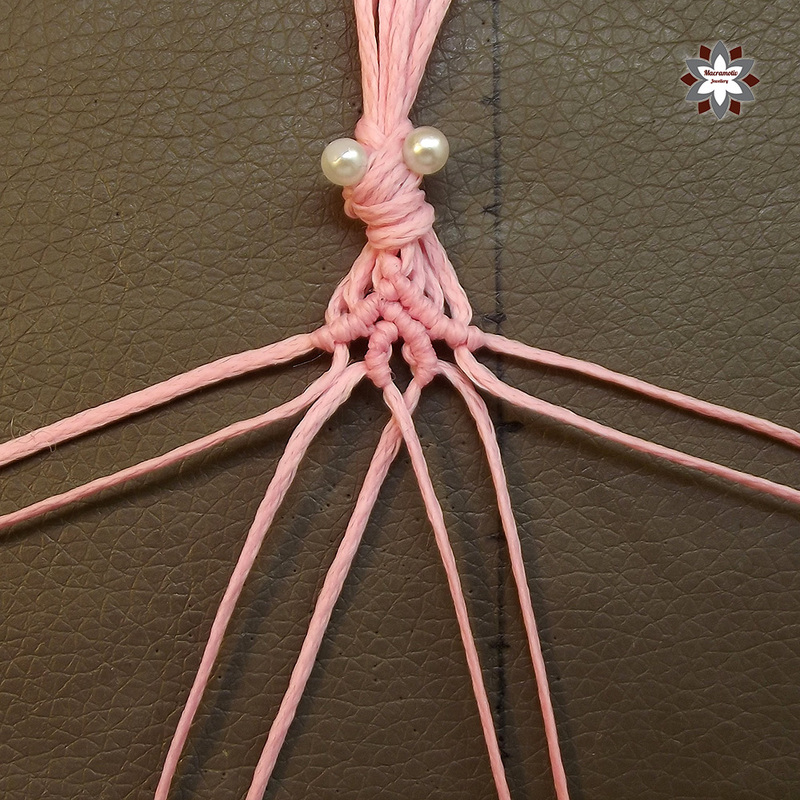 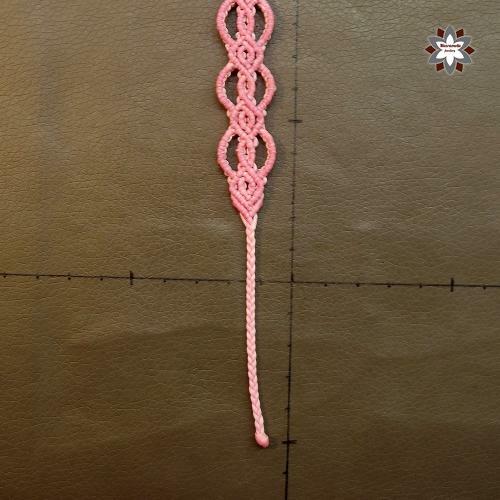 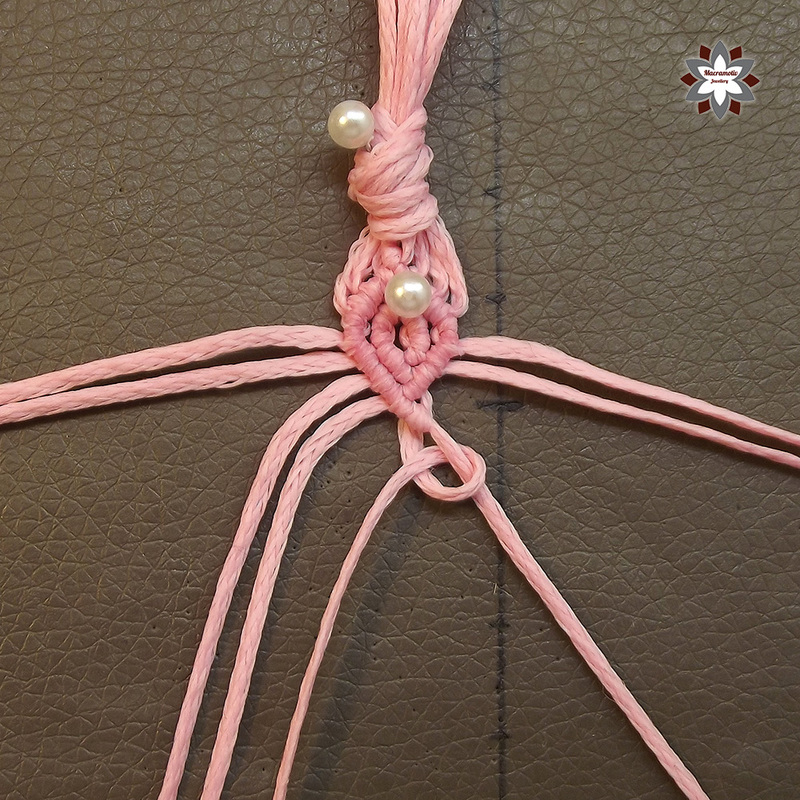 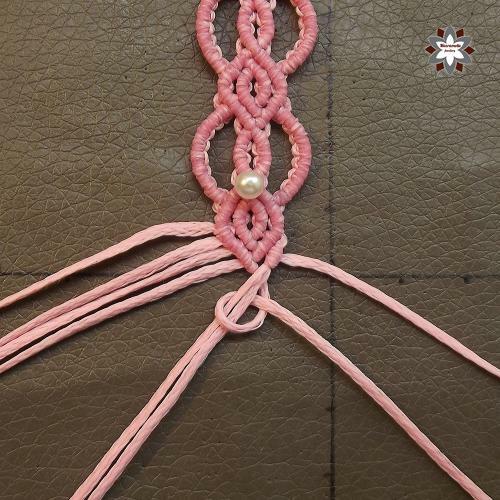 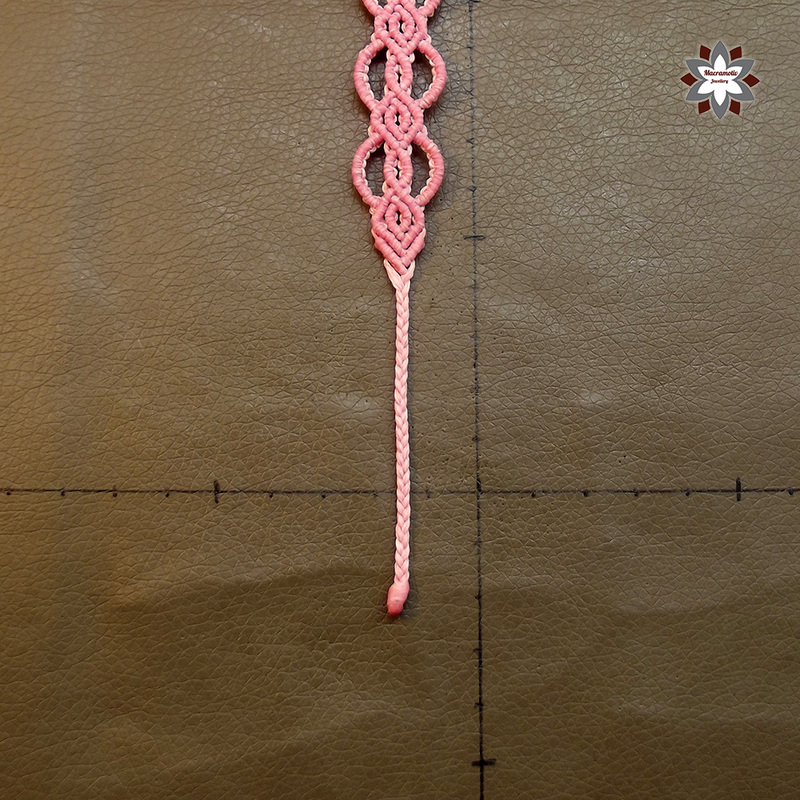 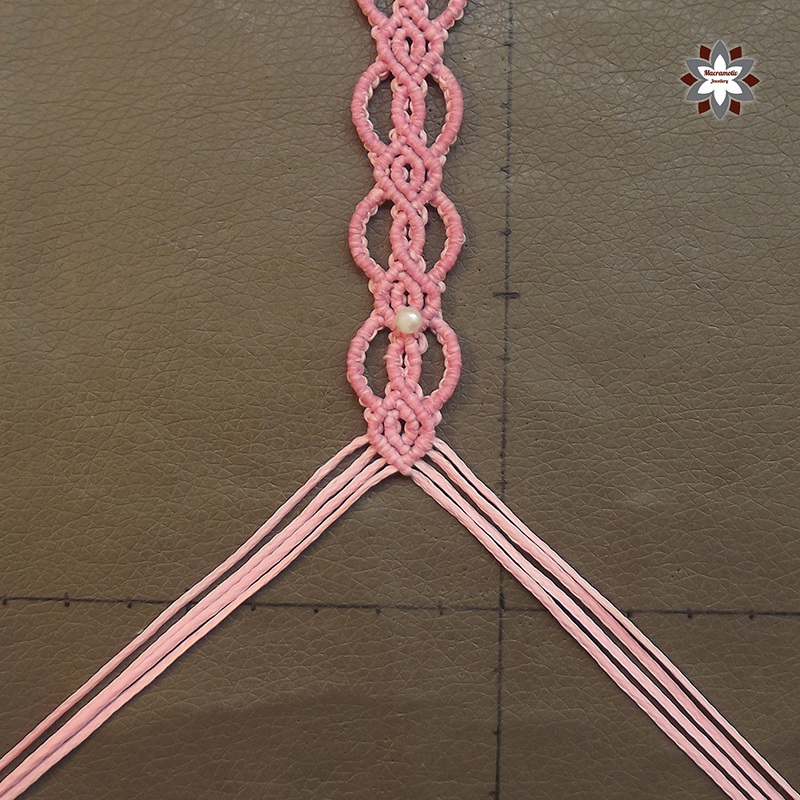 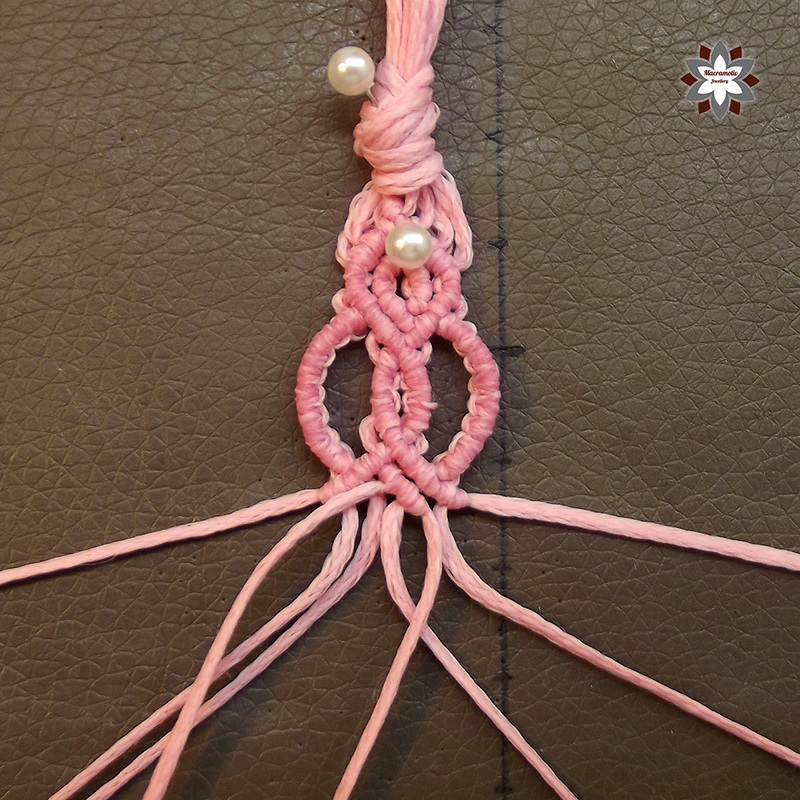 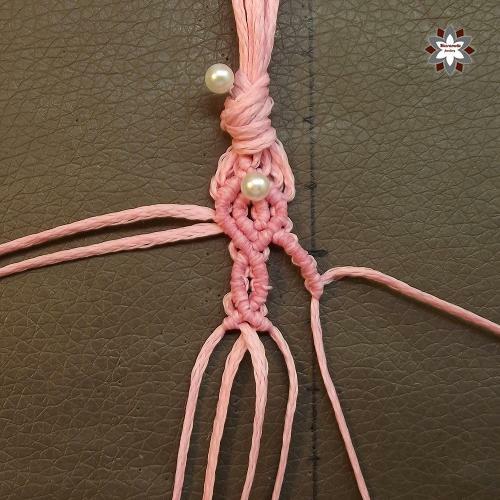 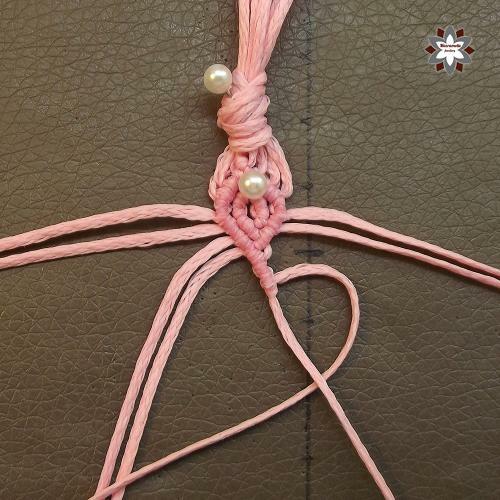 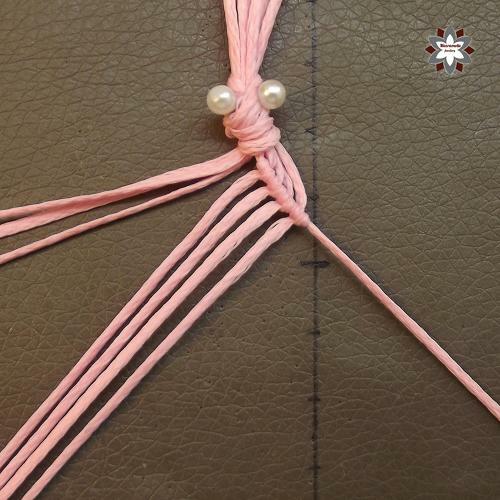 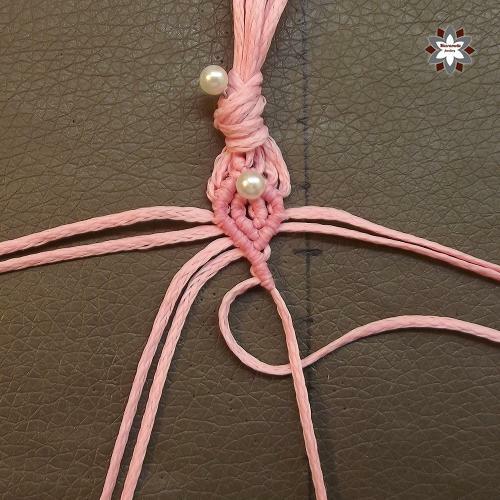 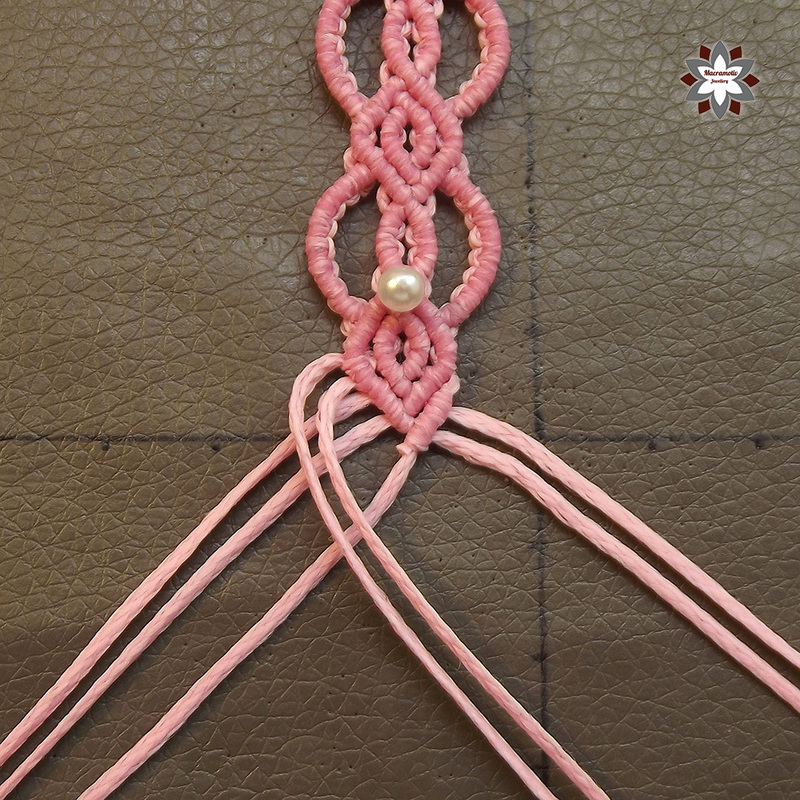 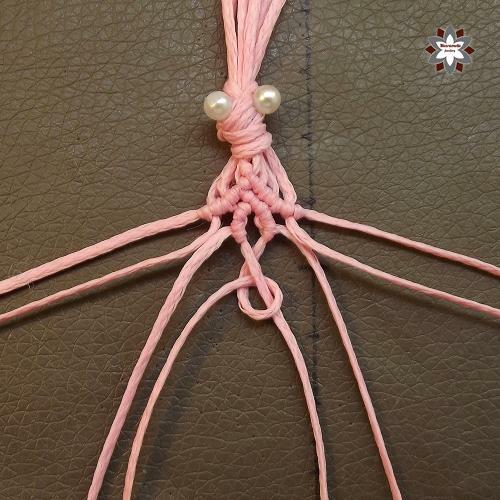 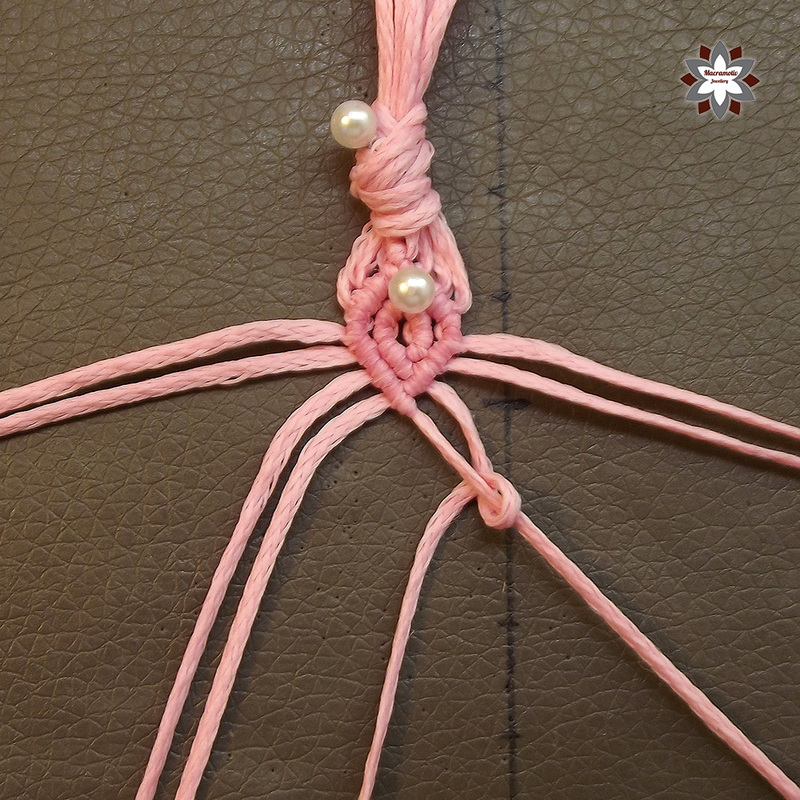 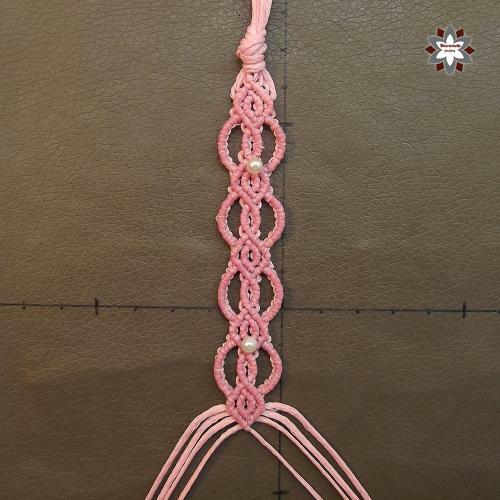 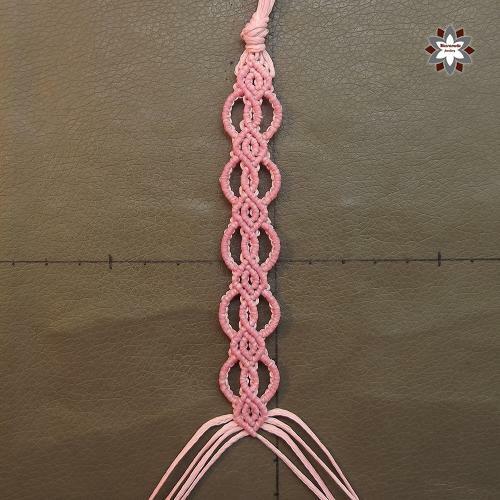 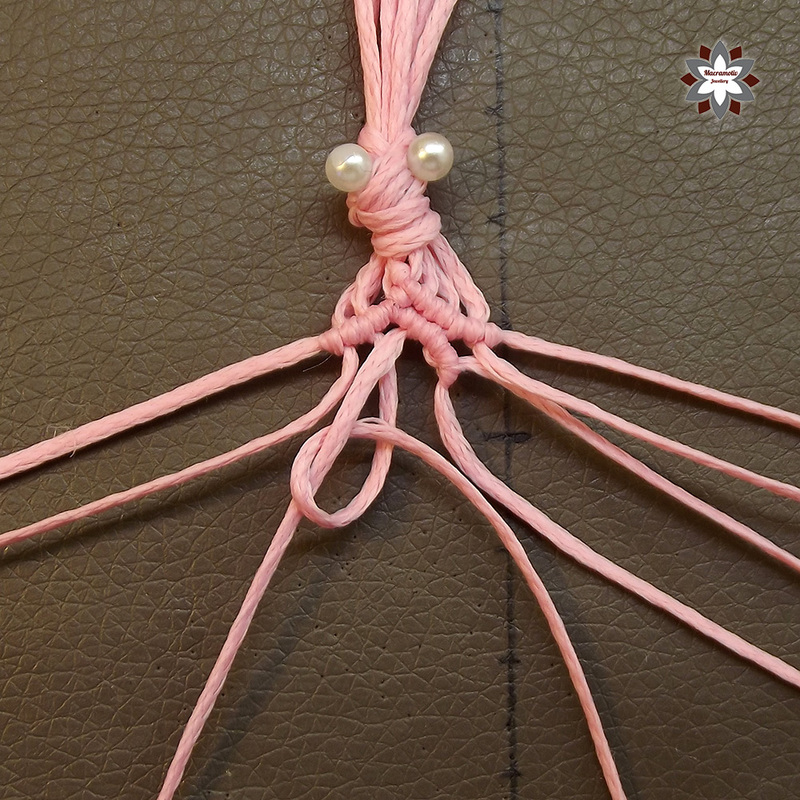 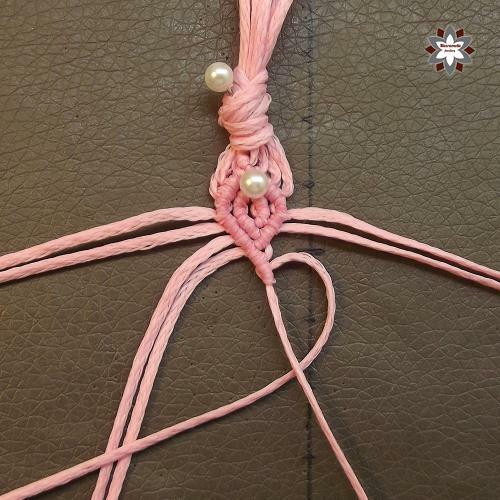 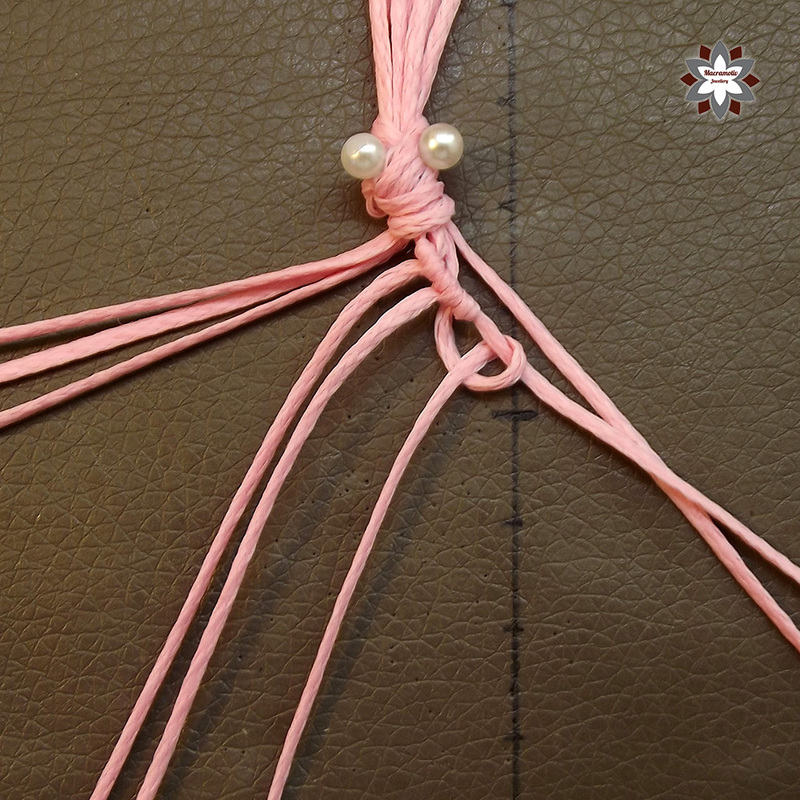 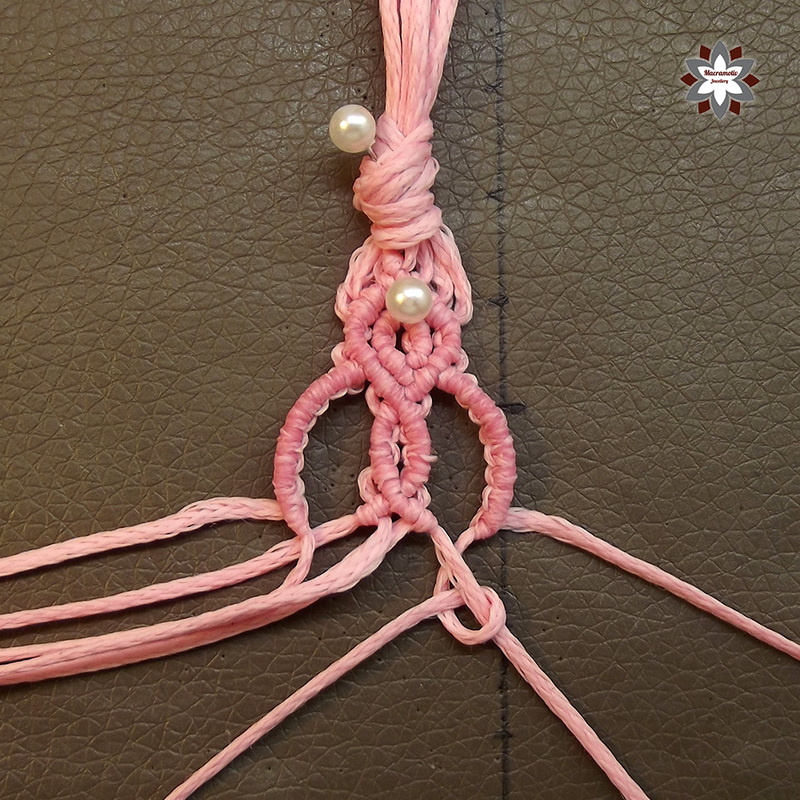 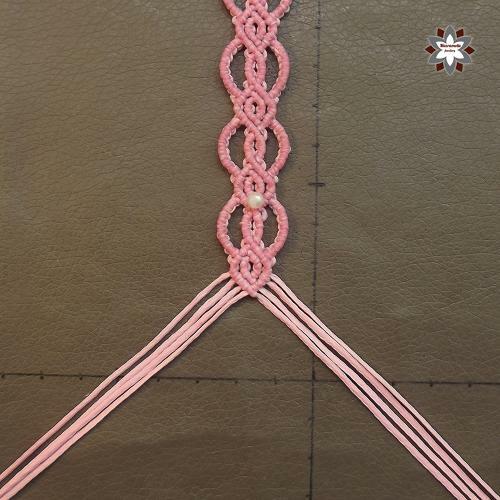 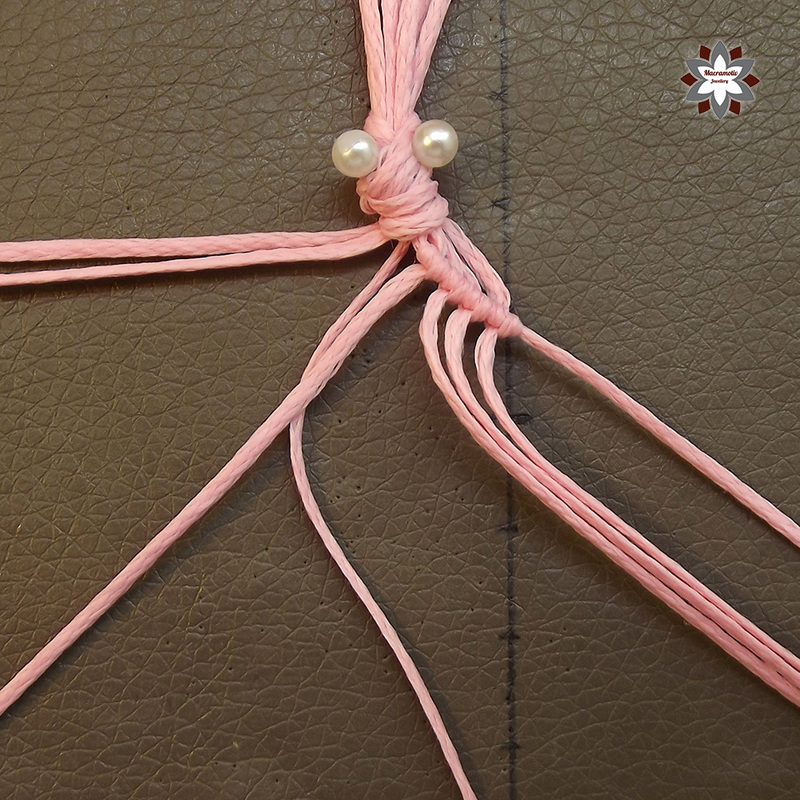 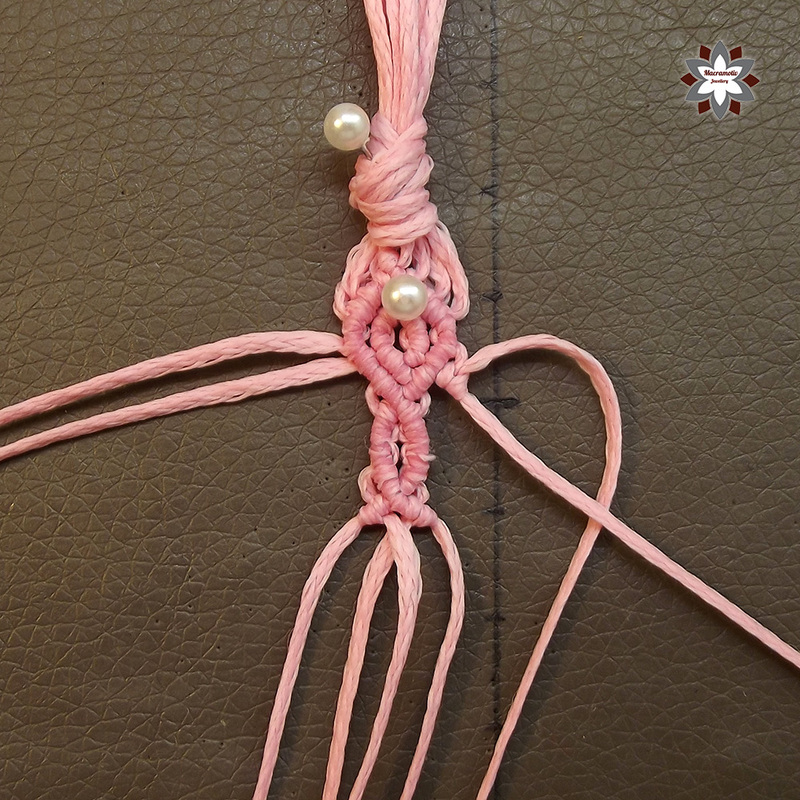 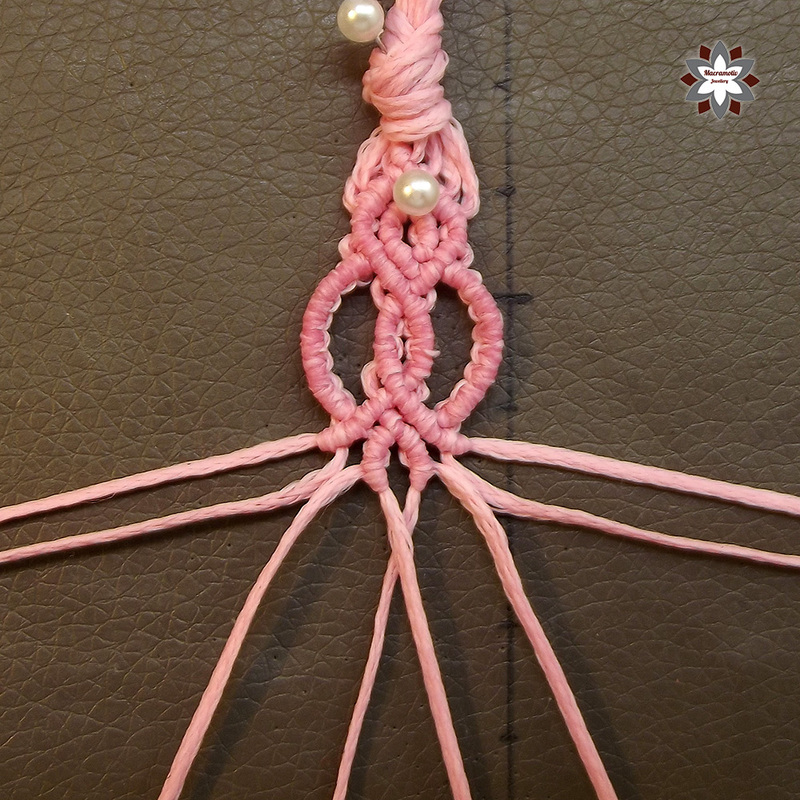 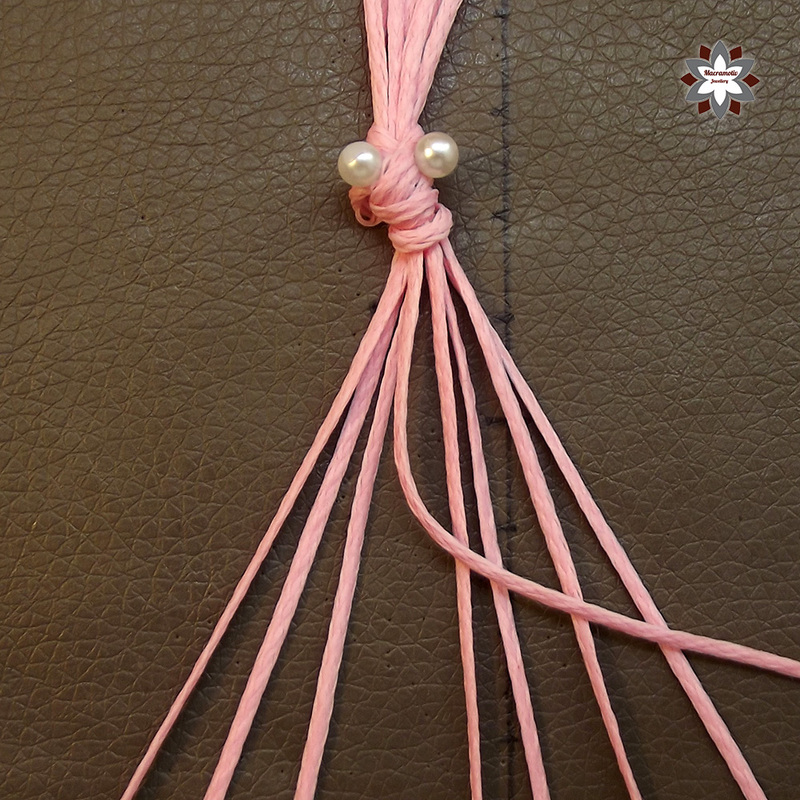 Macrame is so variable, the steps in this knotting photo tutorial are similar to the previous ones. 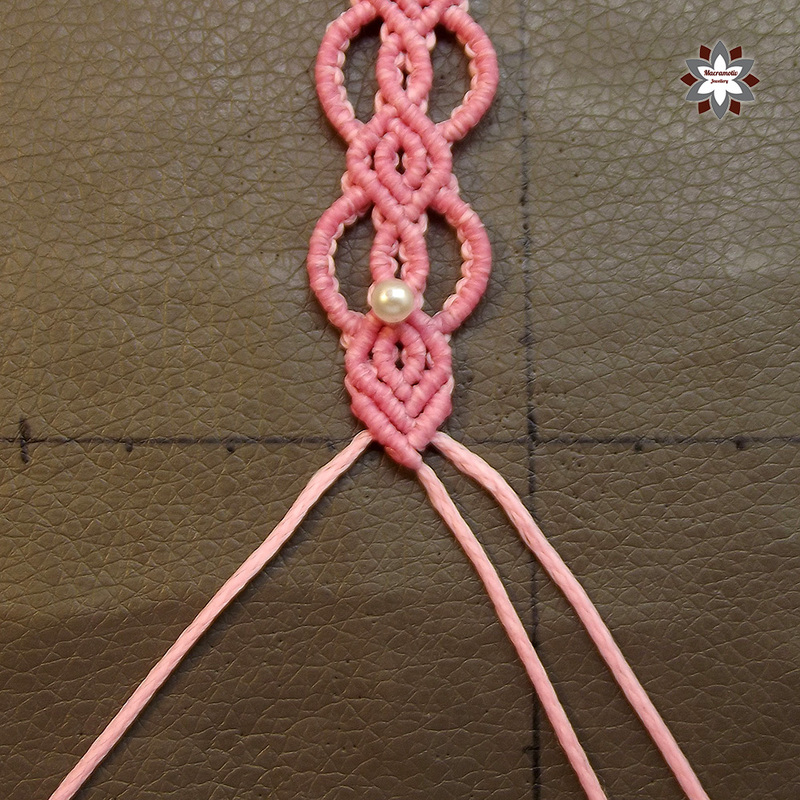 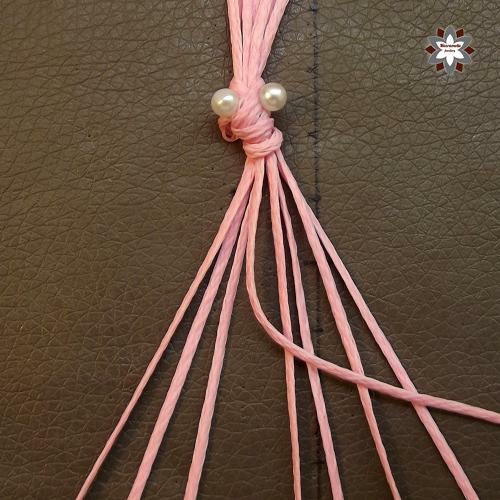 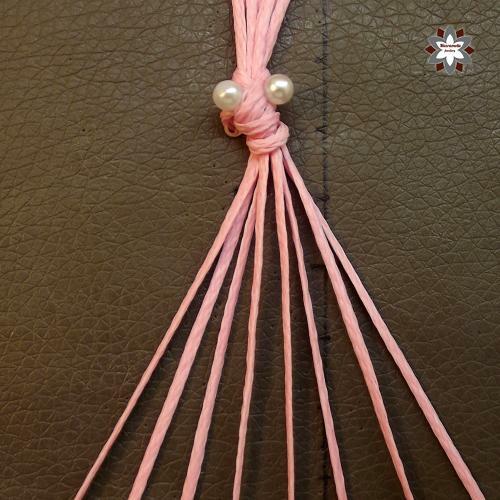 This pattern as every pattern can be developed with adding cords, beads, using multiple colors. 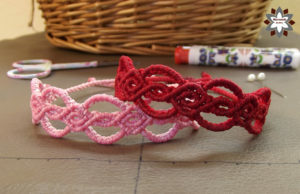 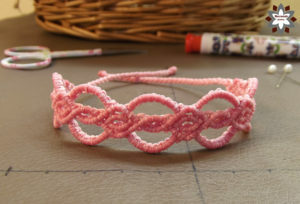 Practice with making this lovely bracelet and later it can be even a part of a necklace.